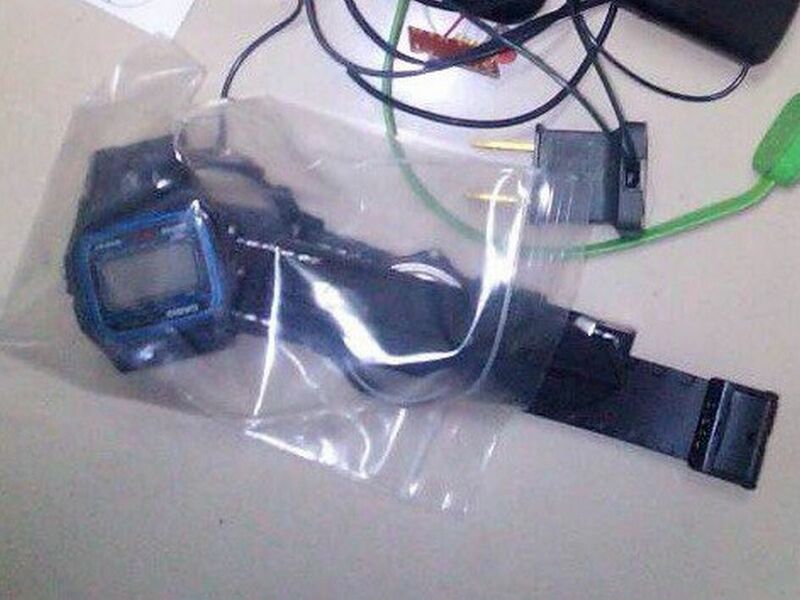 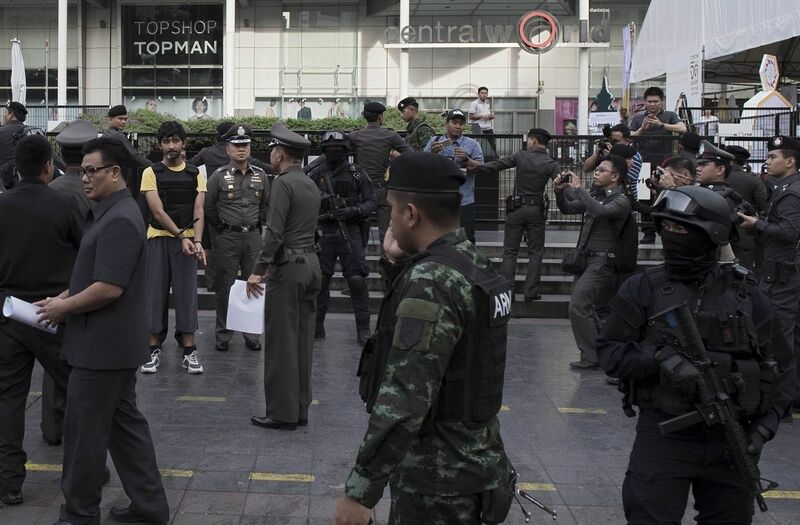 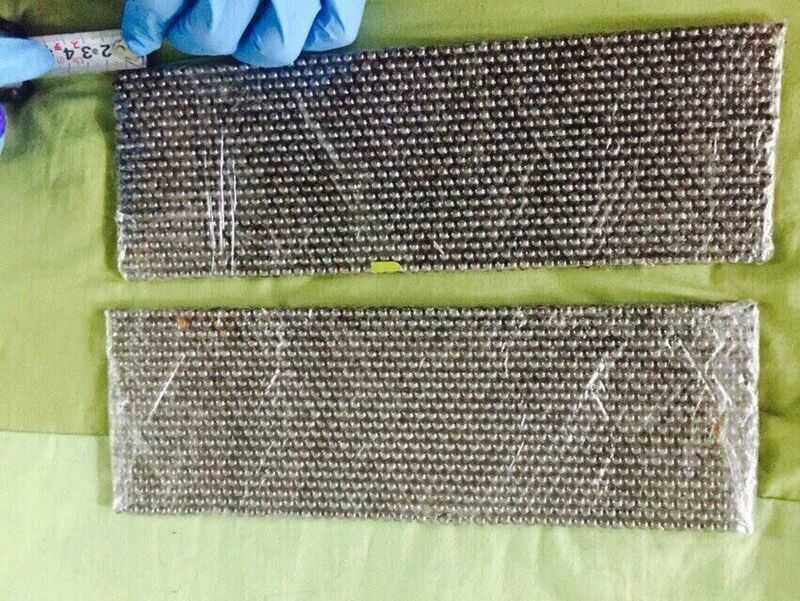 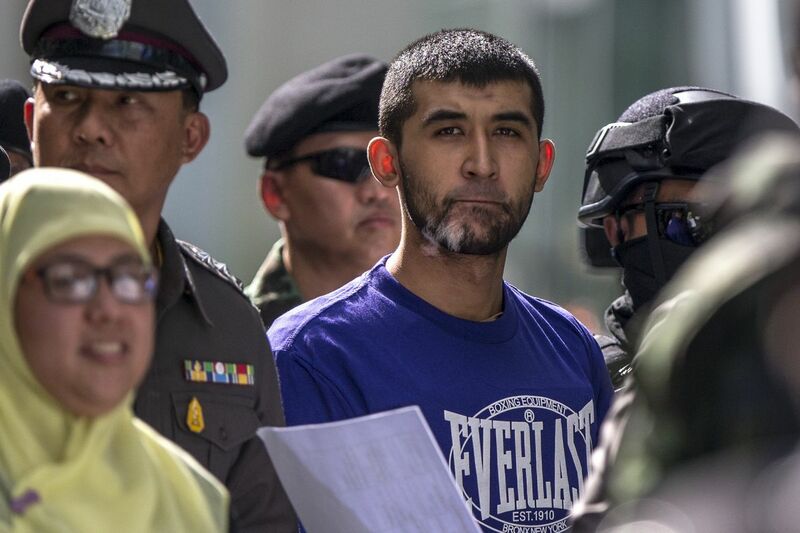 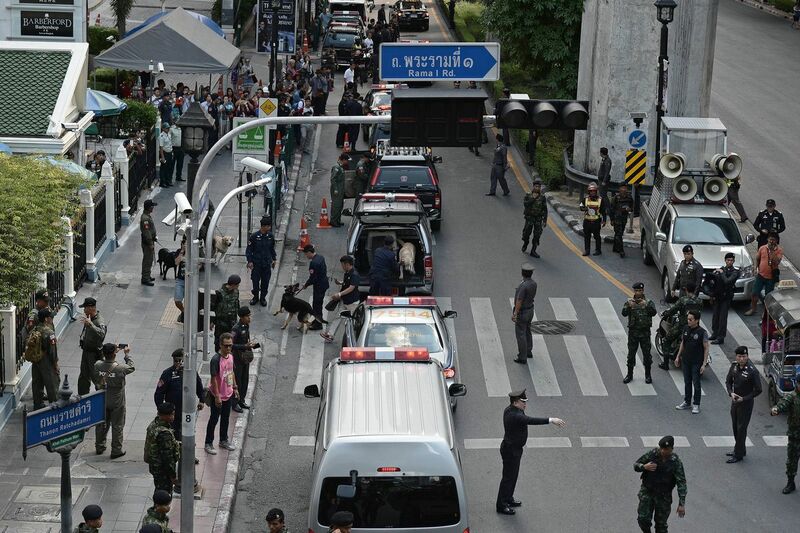 Authorities are still waiting for lab-test results before confirming the type of bomb that was used to stage the bloody attack in Bangkok on Monday. 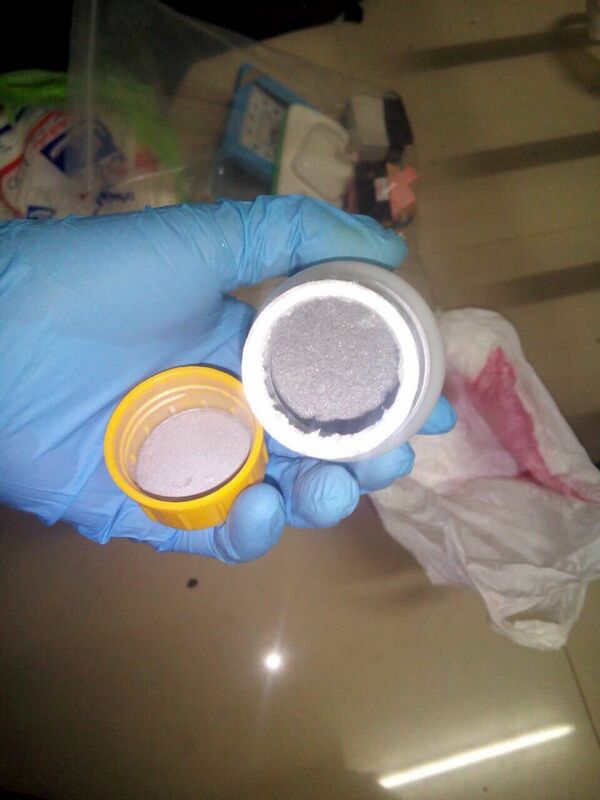 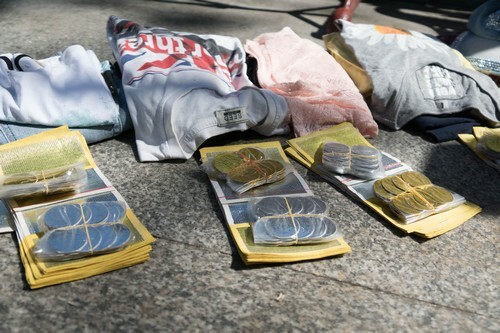 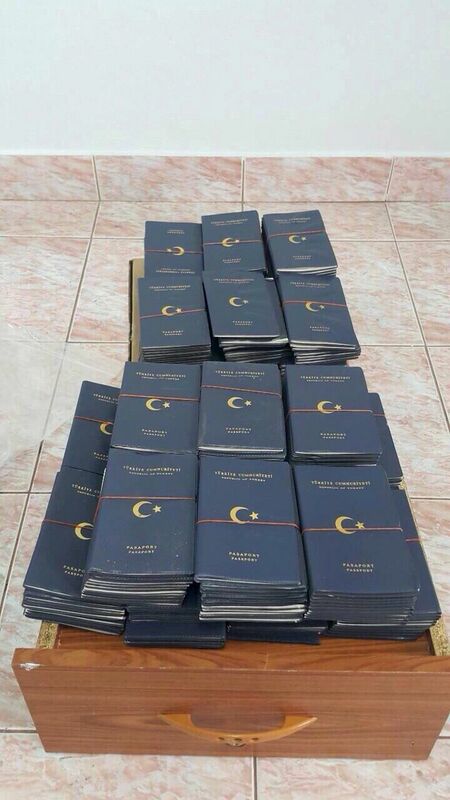 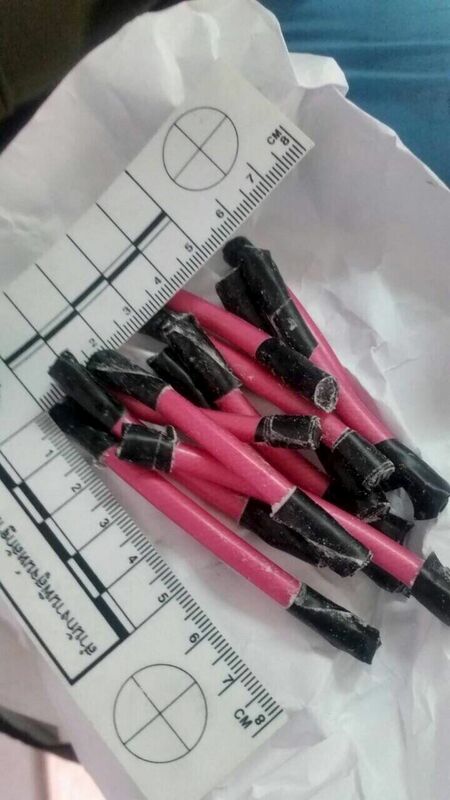 Tests can identify the type of gunpowder from soot found on victims' clothes and tissue," an informed source said yesterday, "From there, we will be able to trace precursor materials of the bomb". 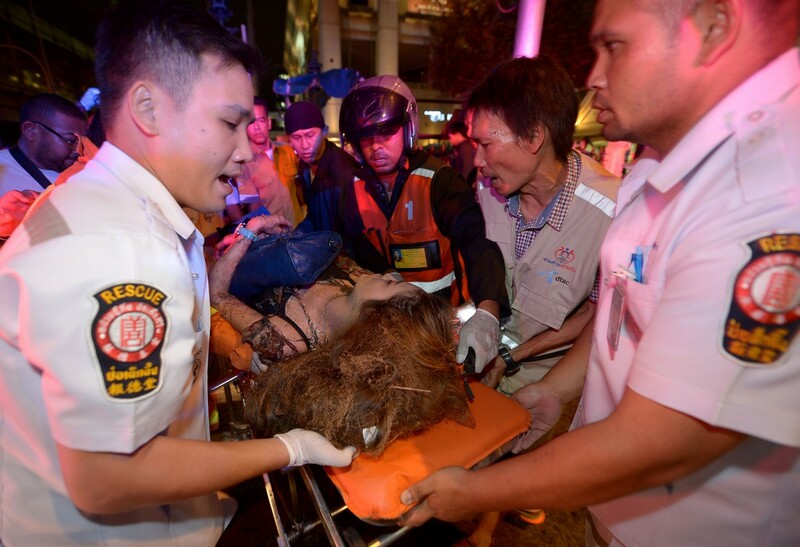 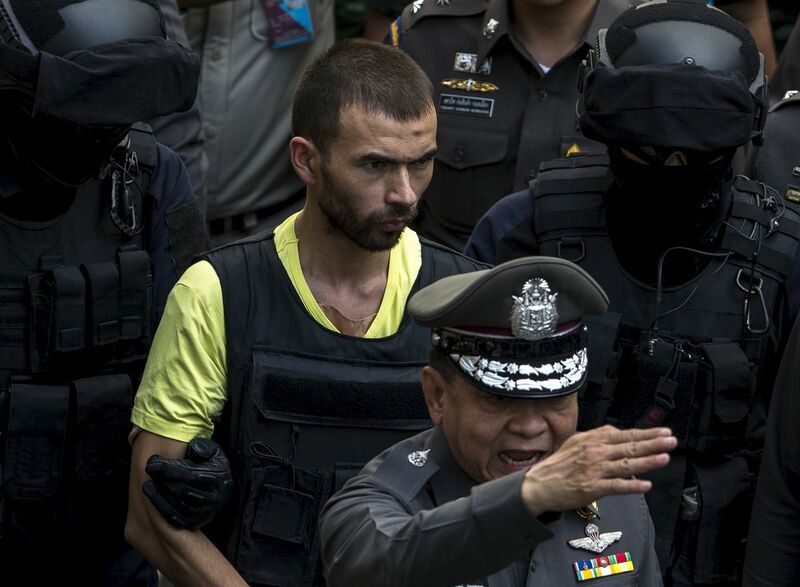 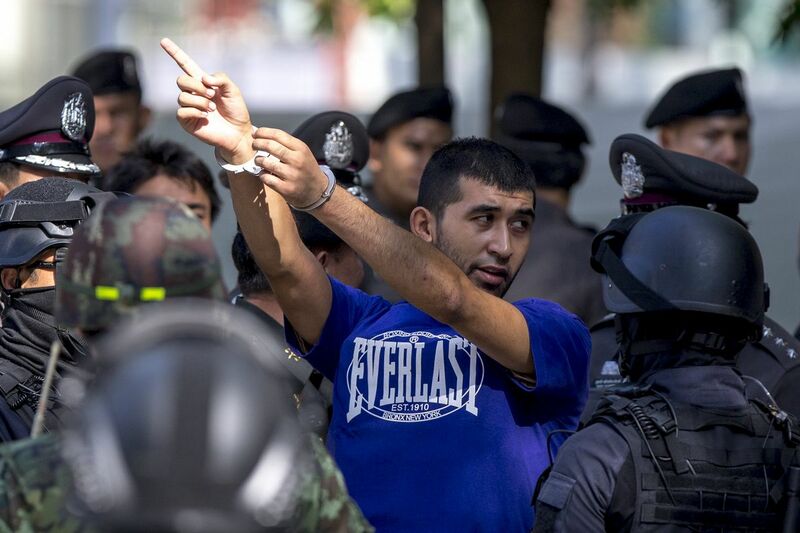 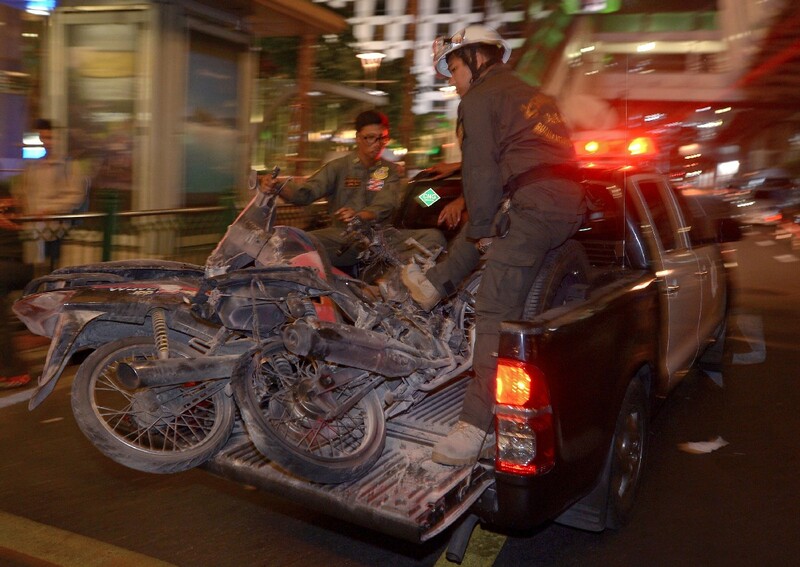 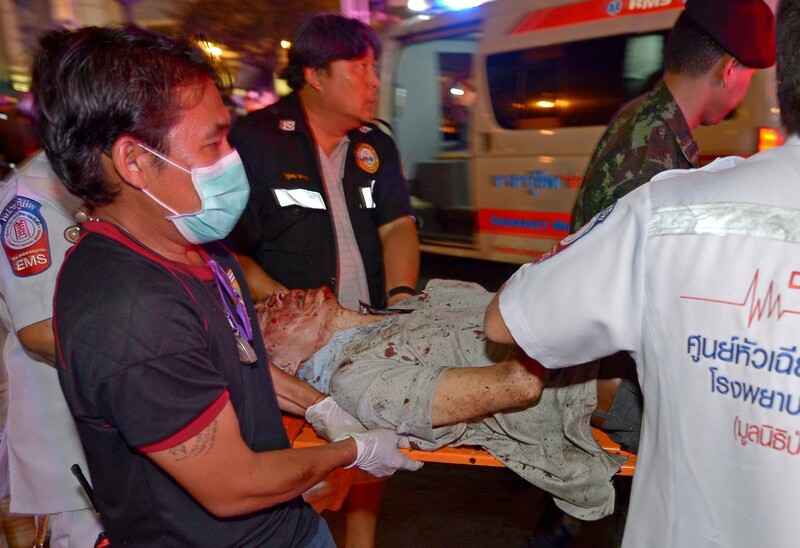 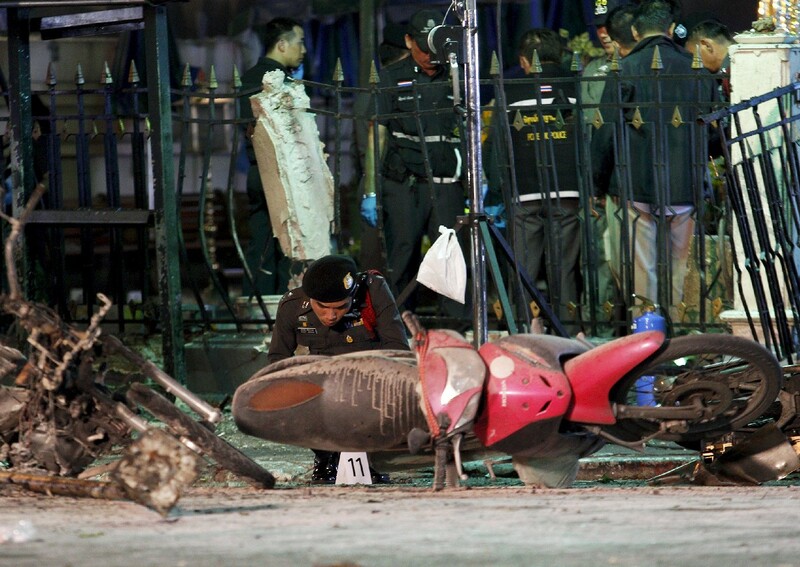 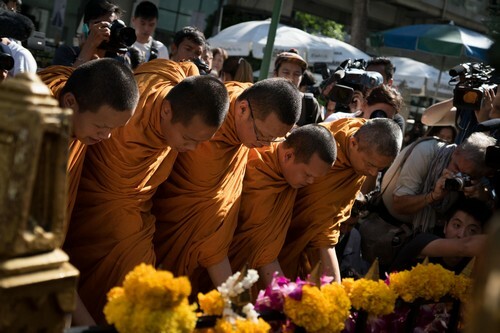 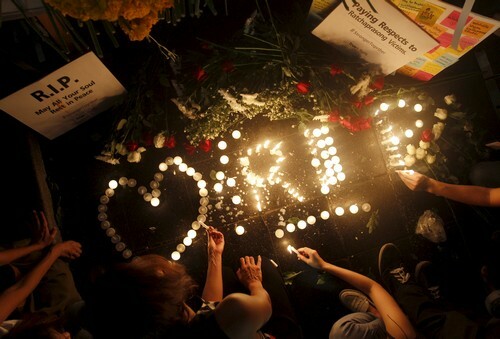 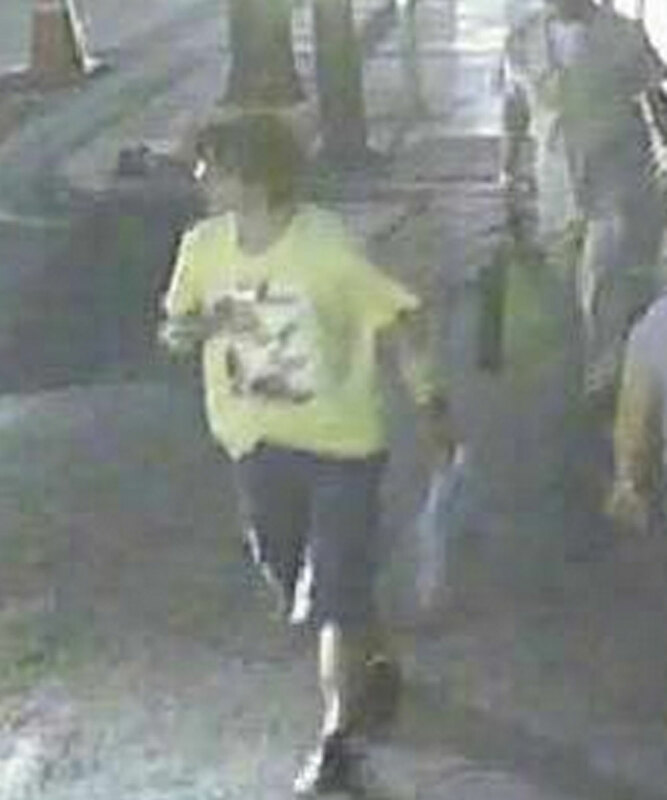 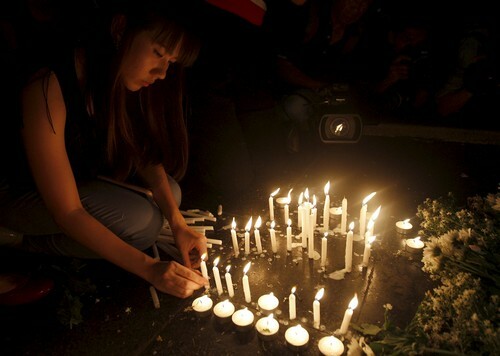 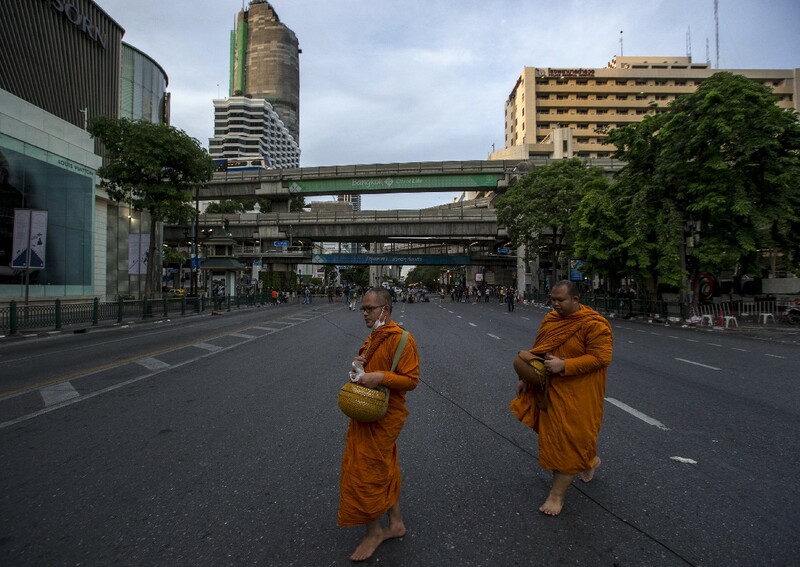 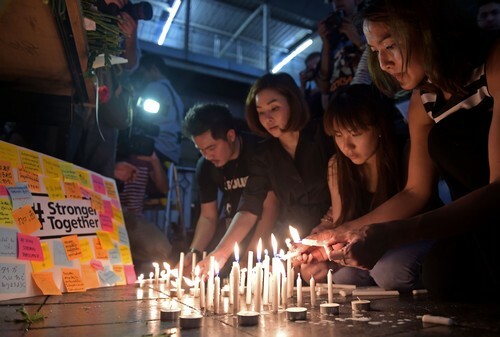 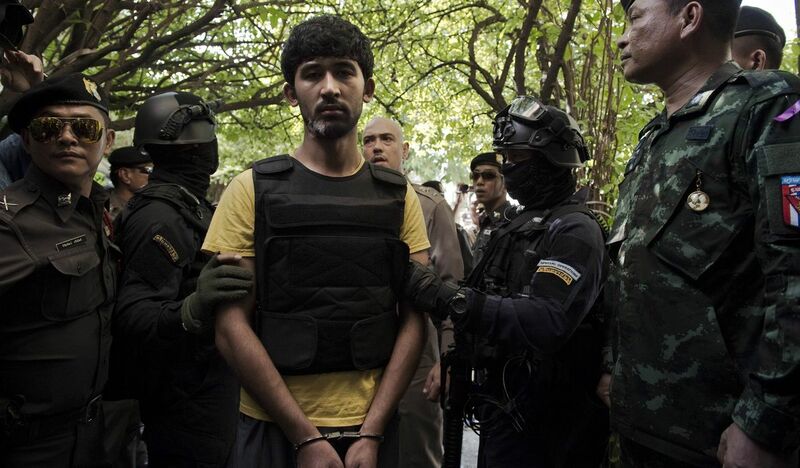 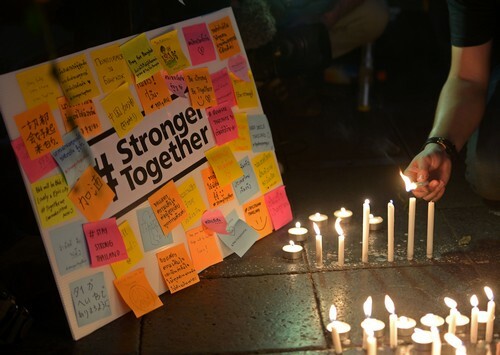 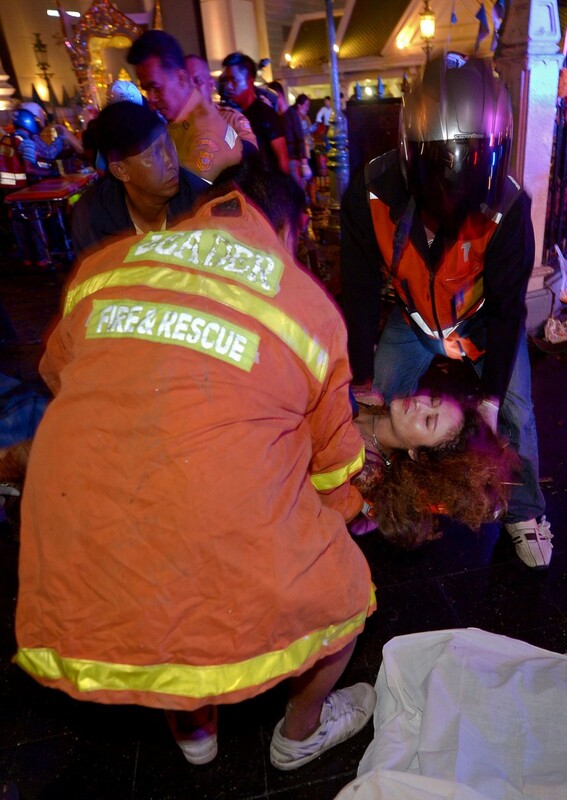 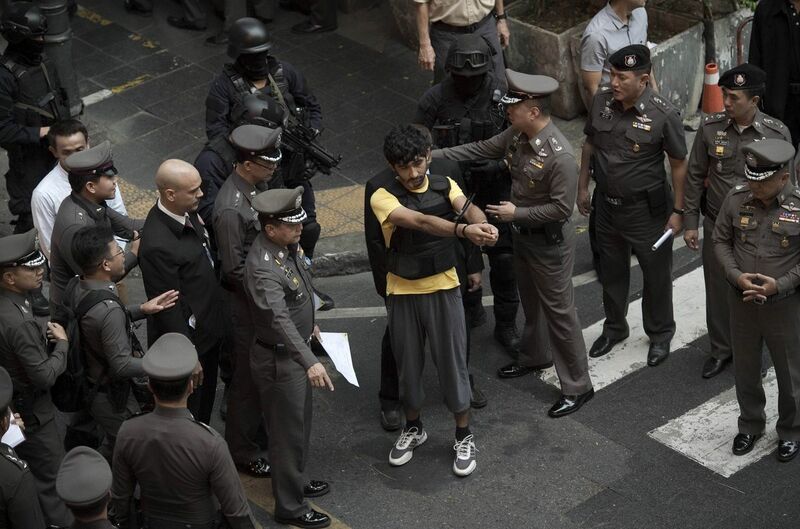 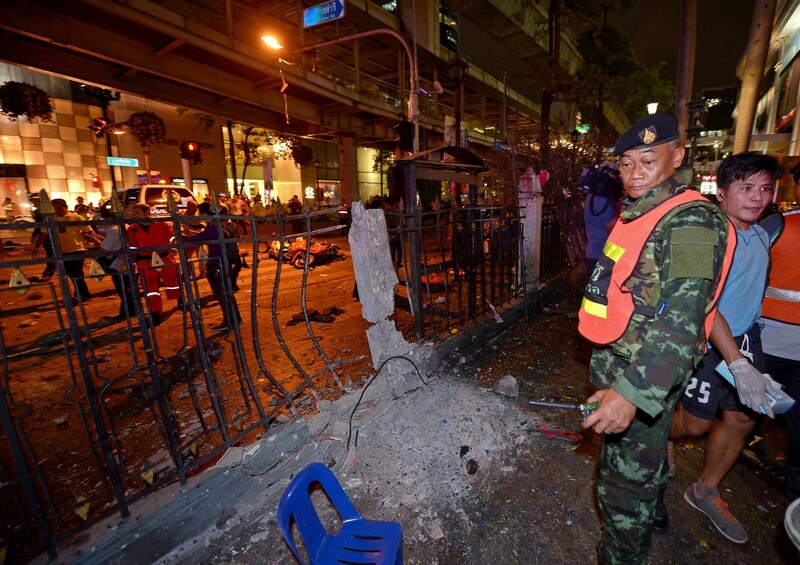 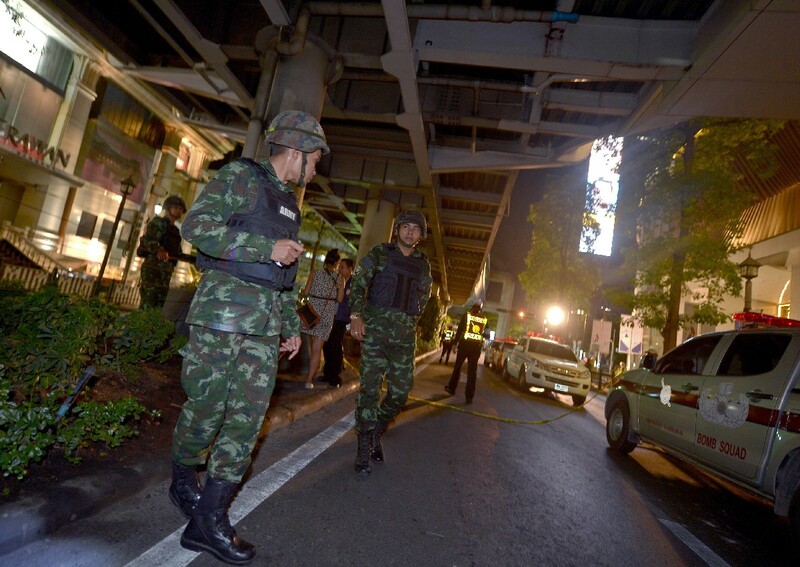 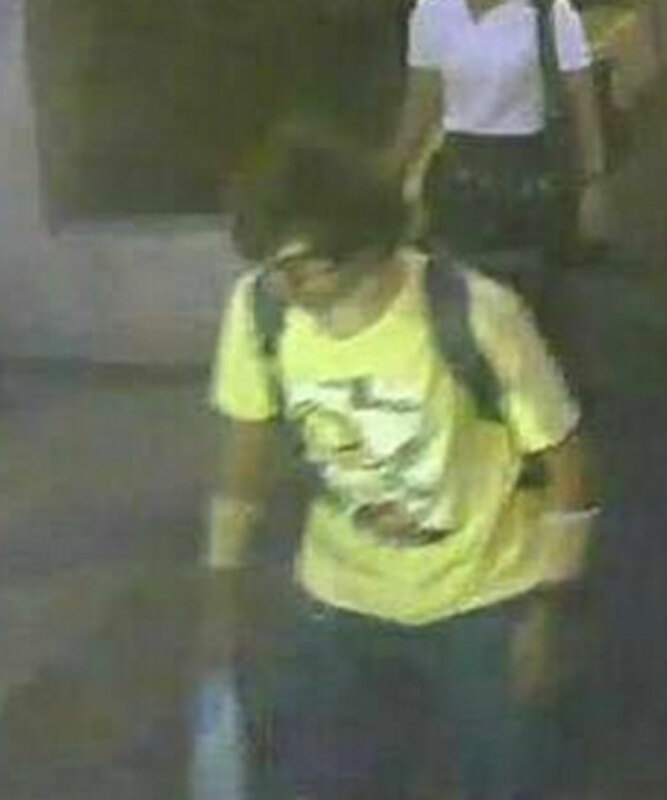 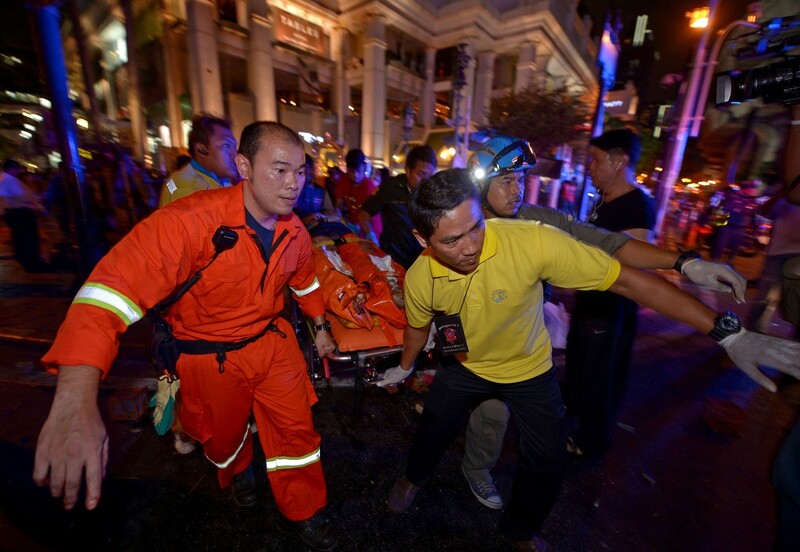 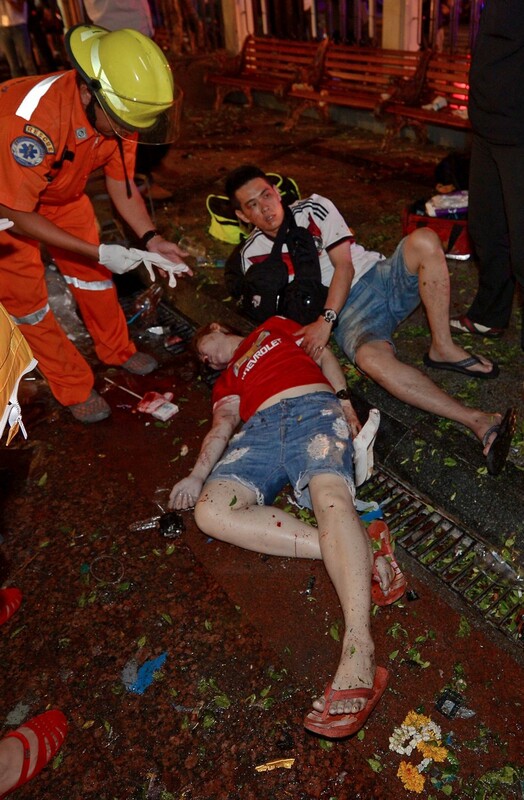 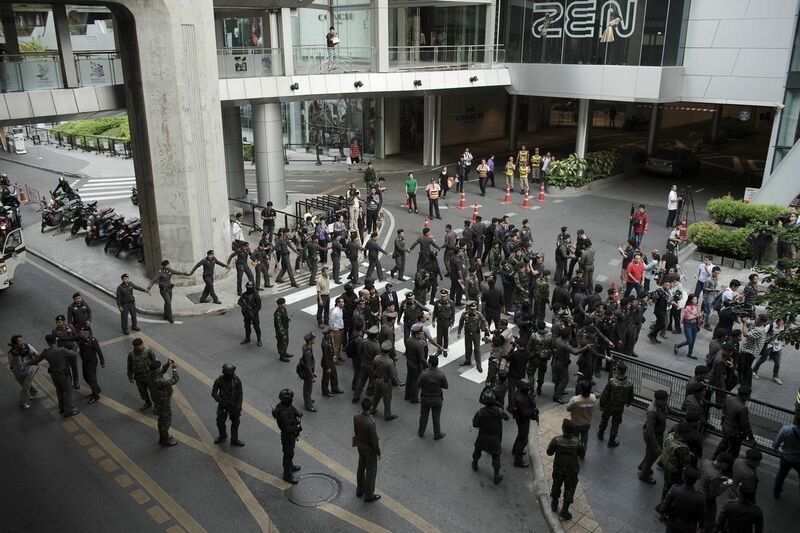 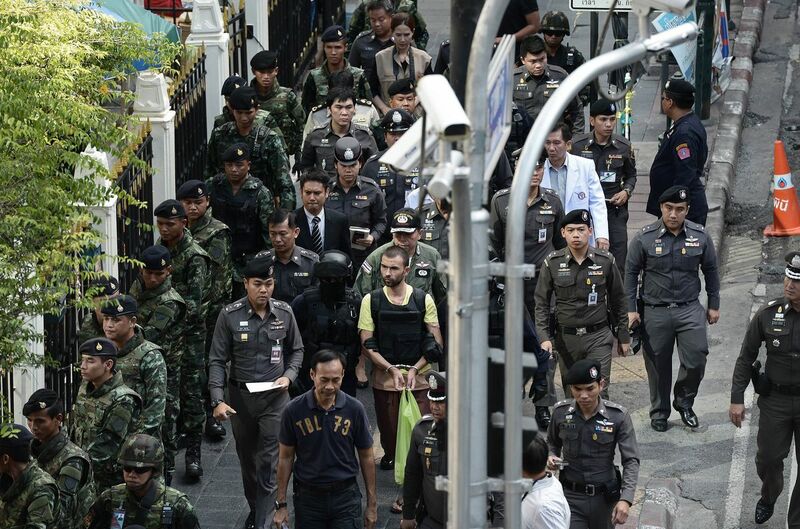 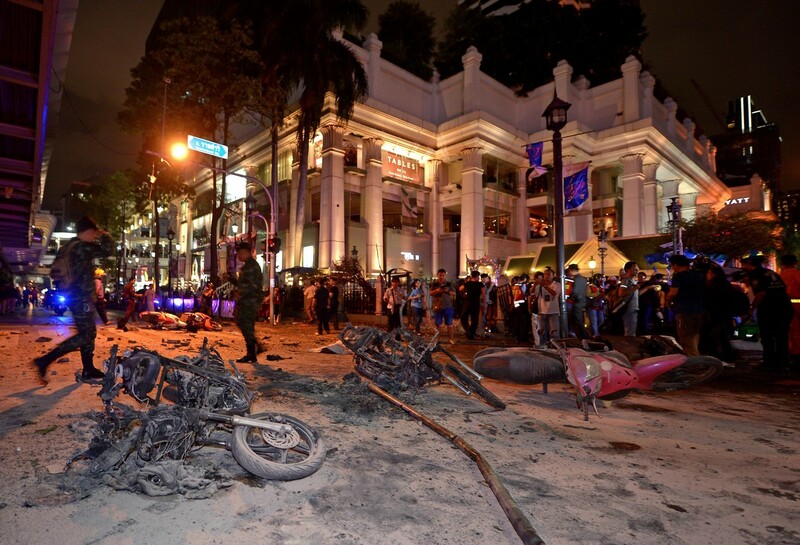 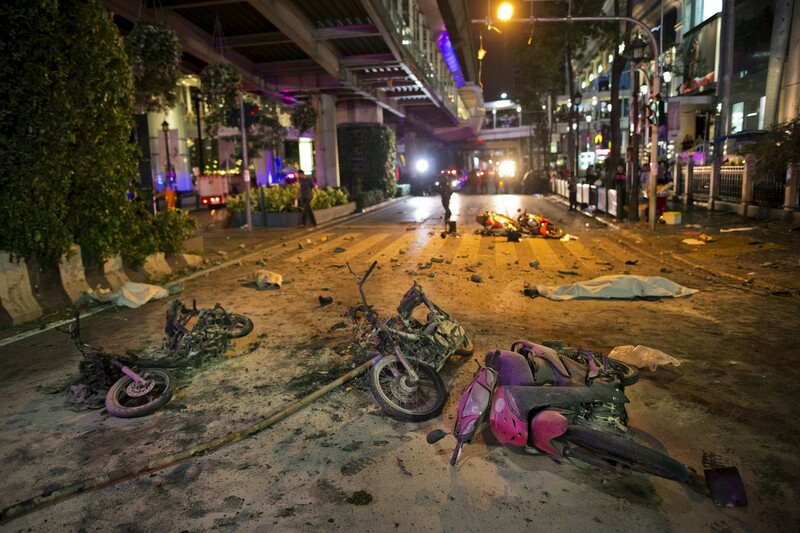 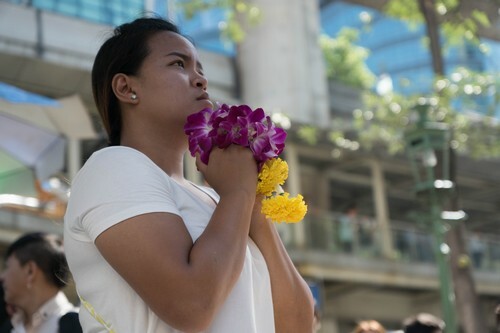 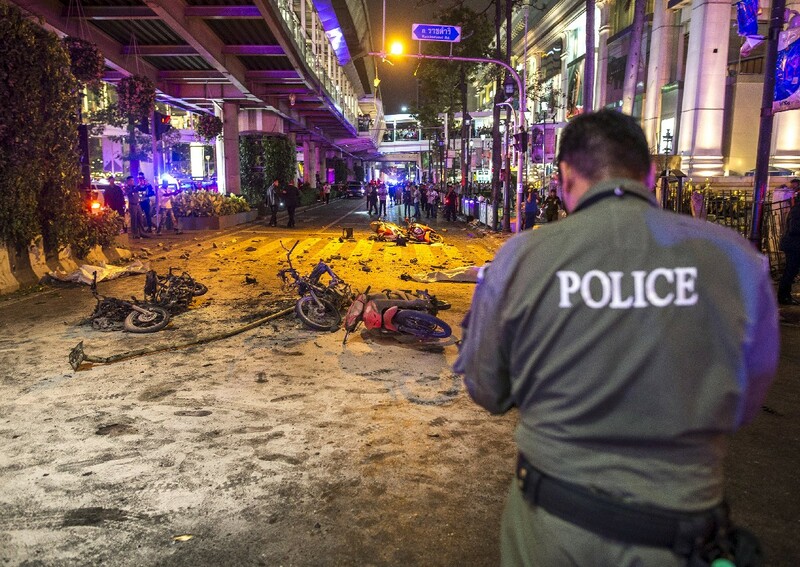 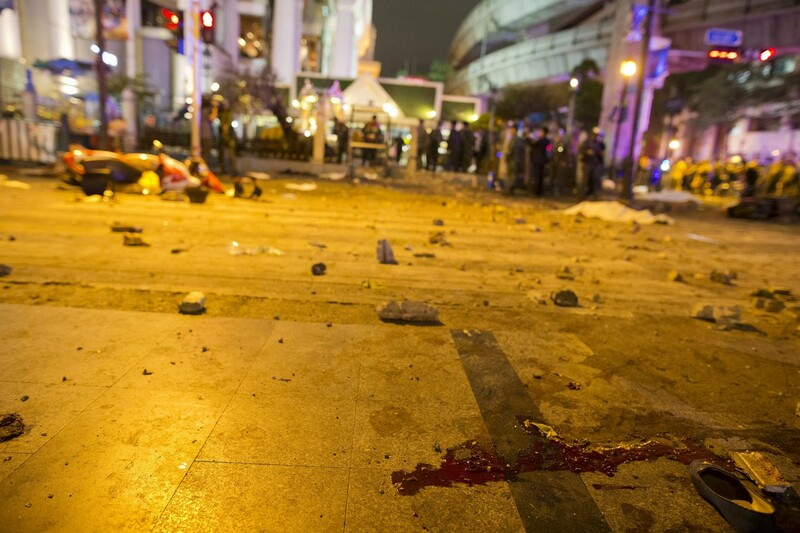 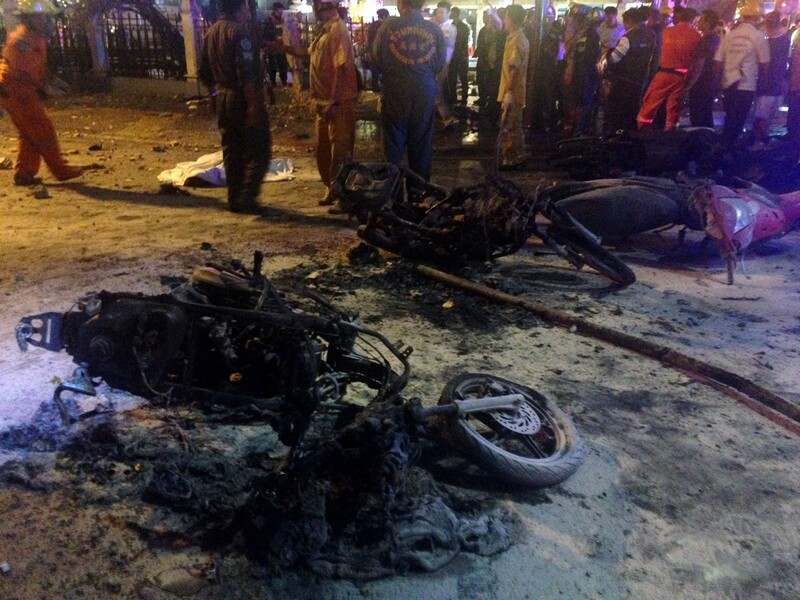 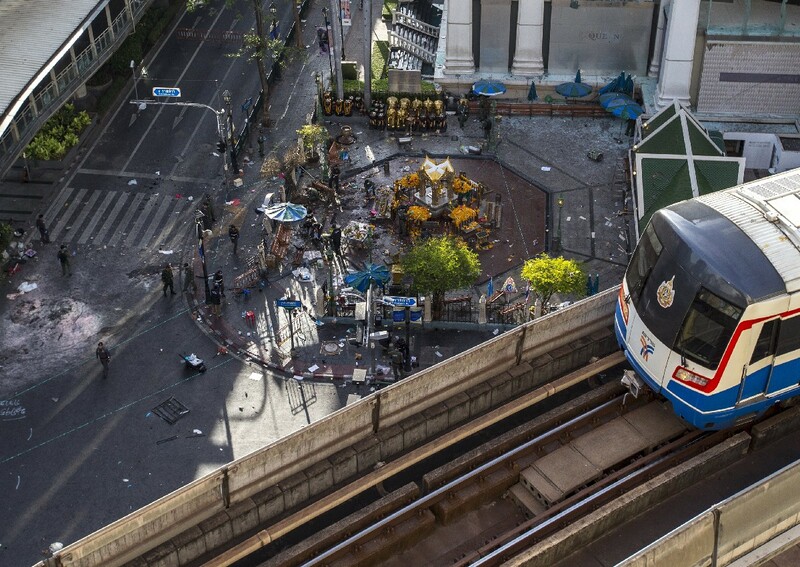 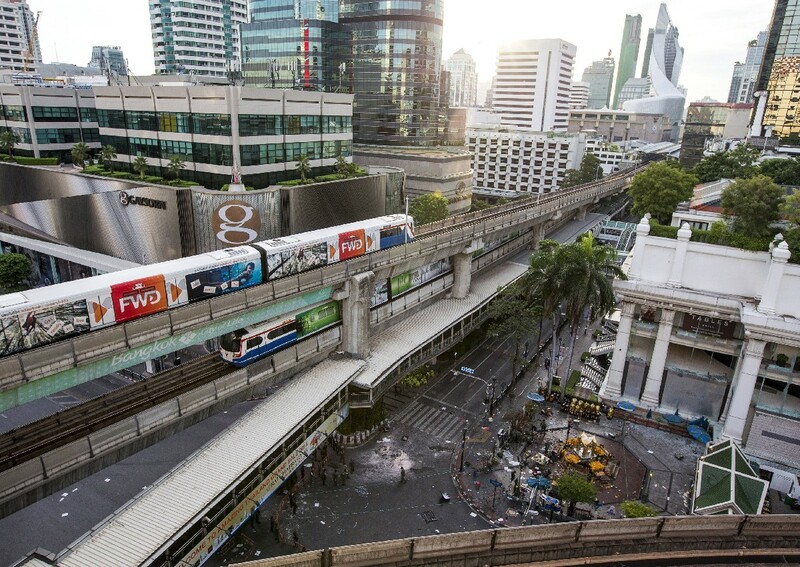 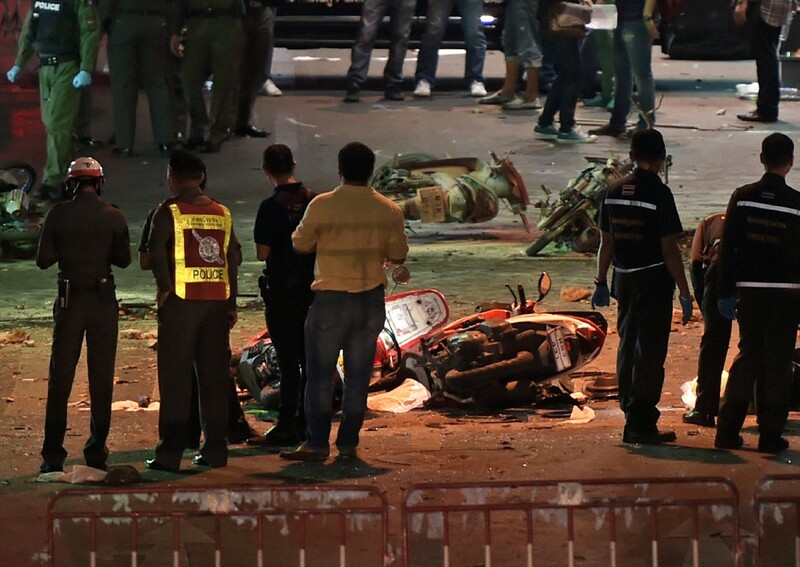 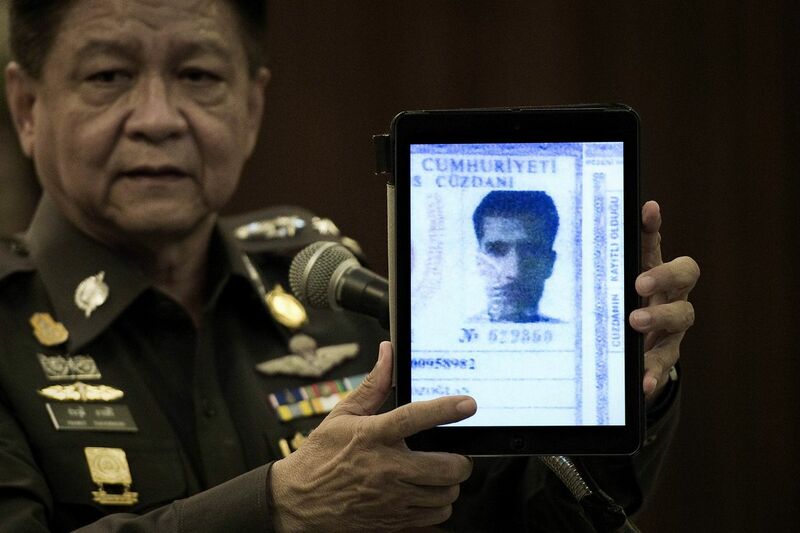 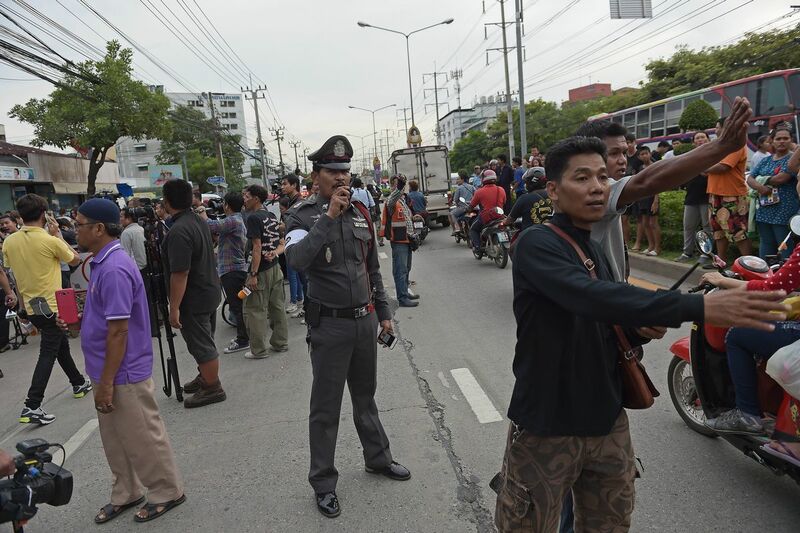 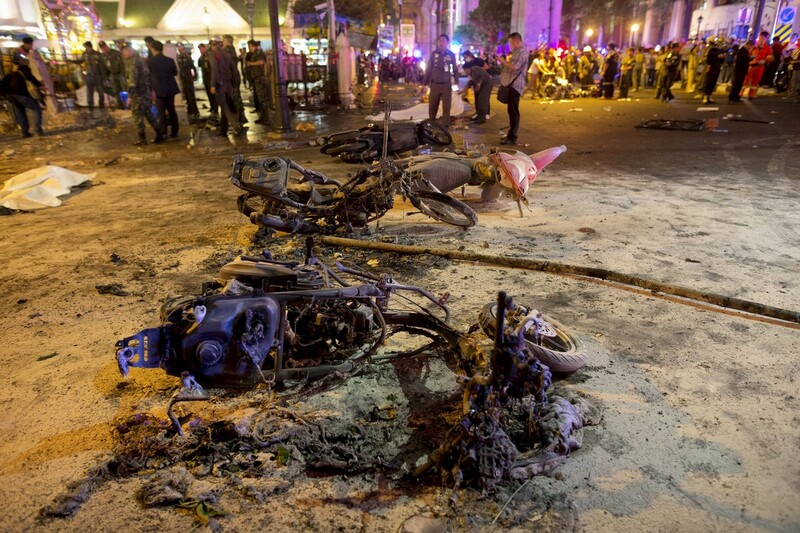 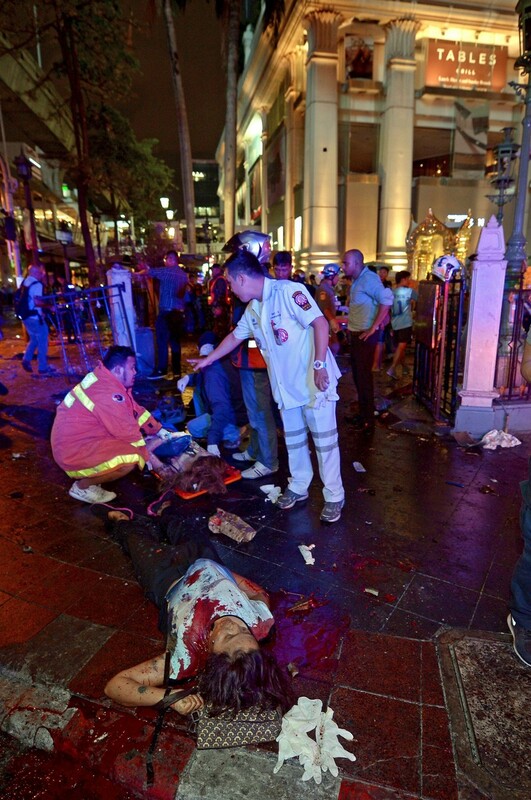 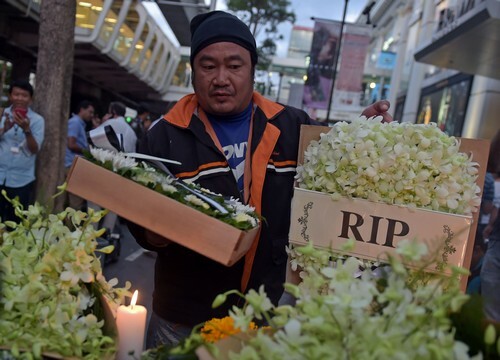 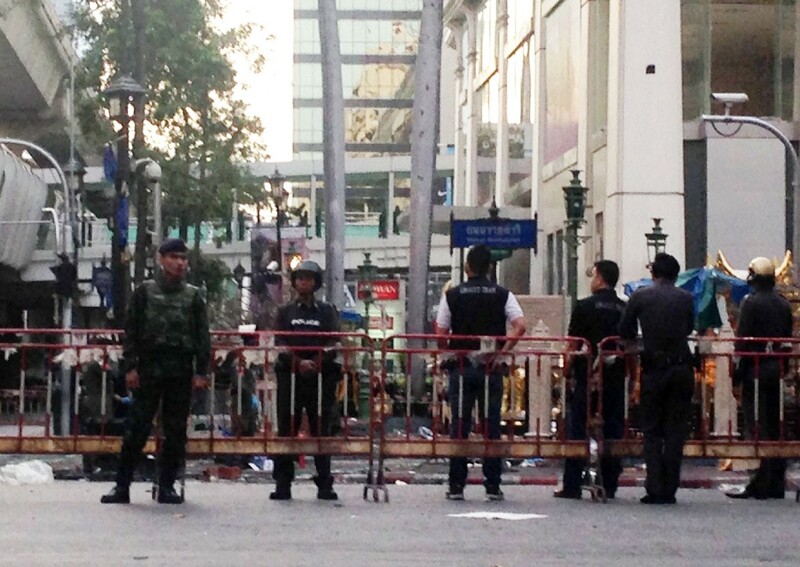 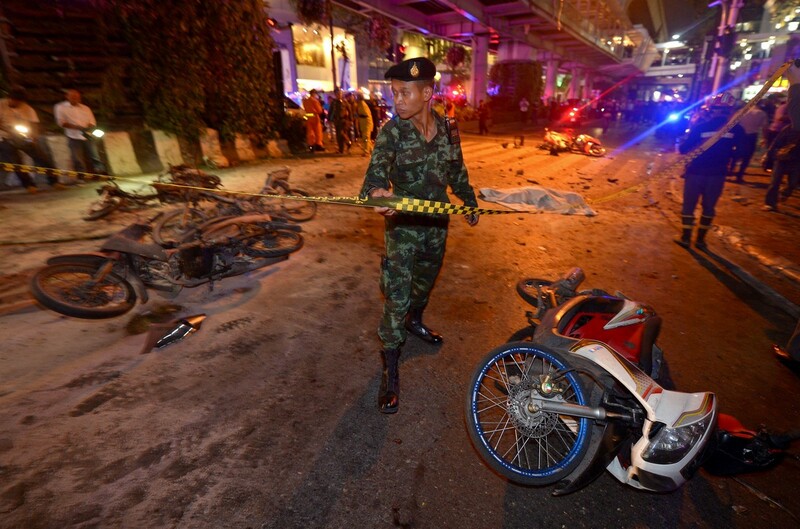 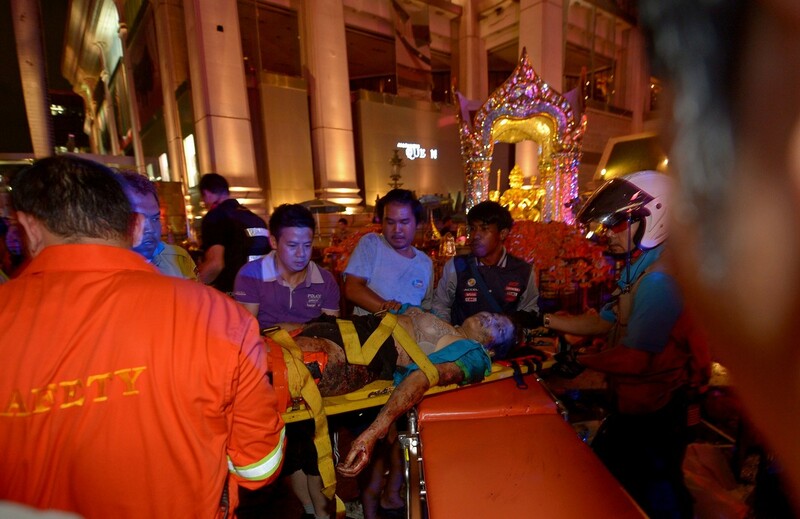 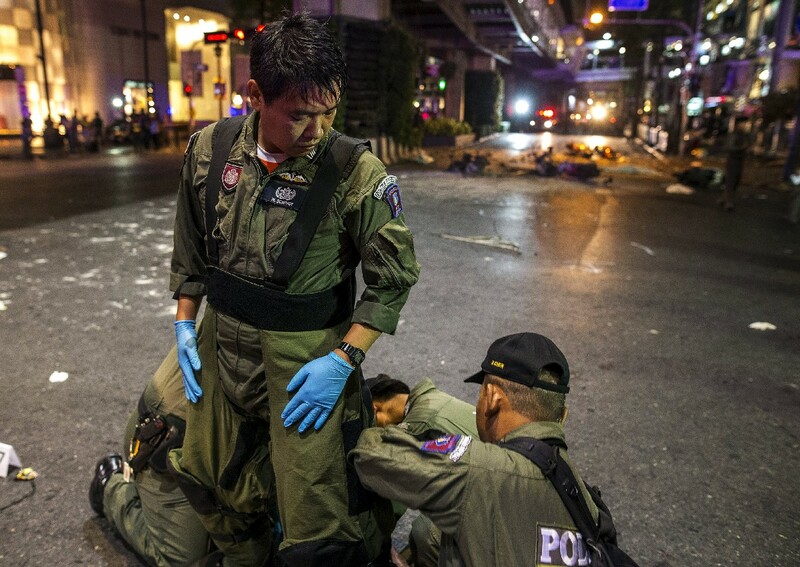 The government has now described Monday's bomb blast as the worst ever attack on Thai soil. 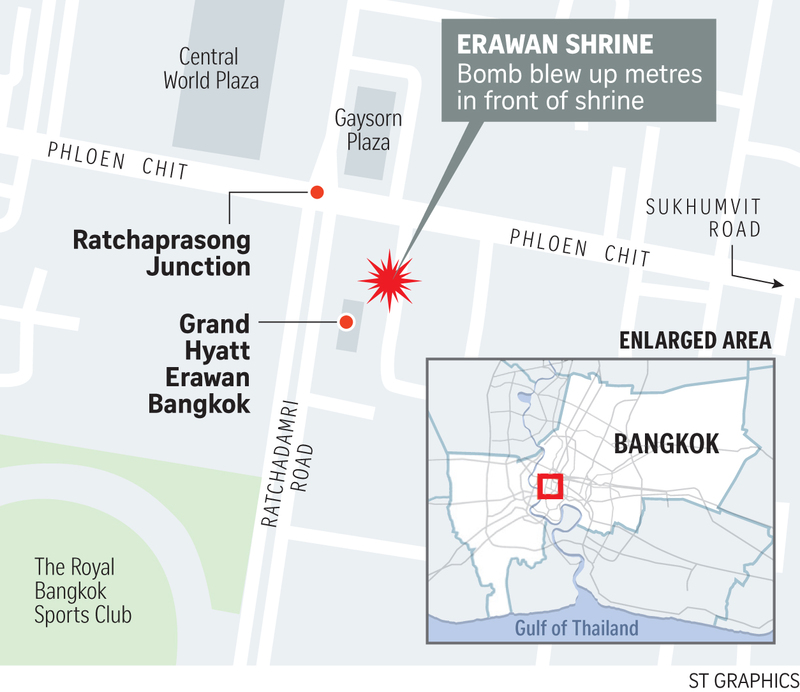 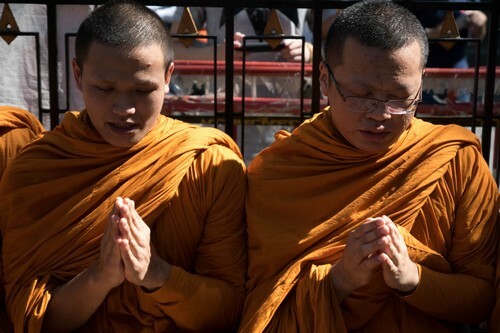 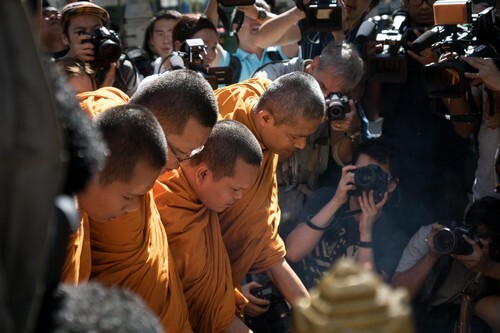 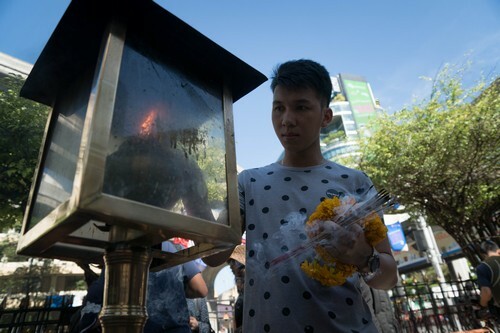 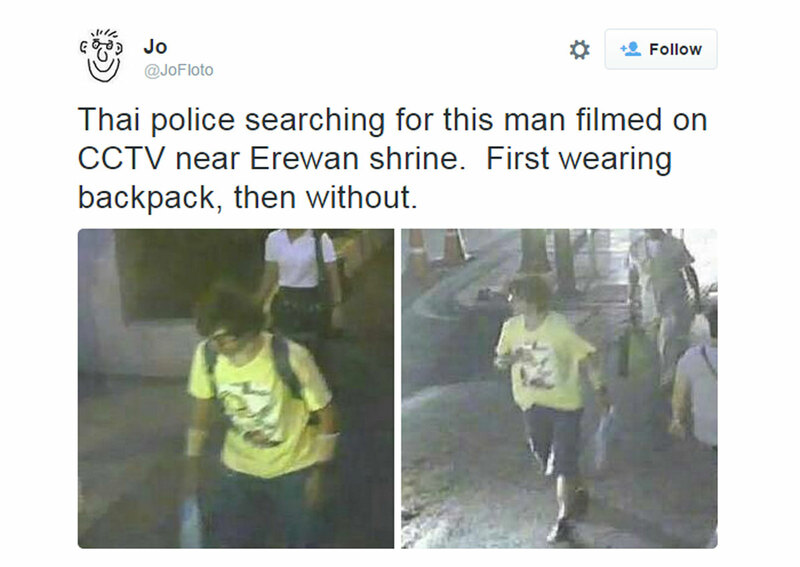 Hitting the world-famous Erawan Shrine at the Ratchaprasong Intersection, the explosion killed at least 20 victims and injured more than 100 others. 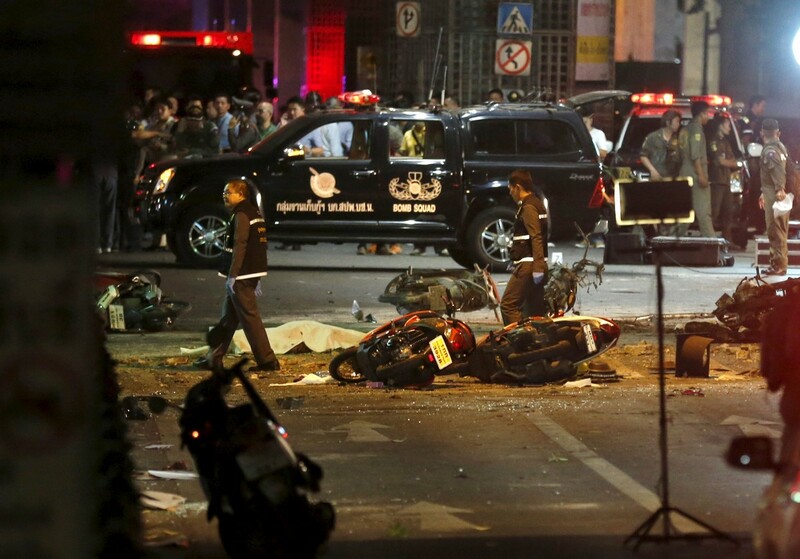 After the explosion, authorities closed traffic around the intersection until yesterday afternoon as officials scoured for evidence. 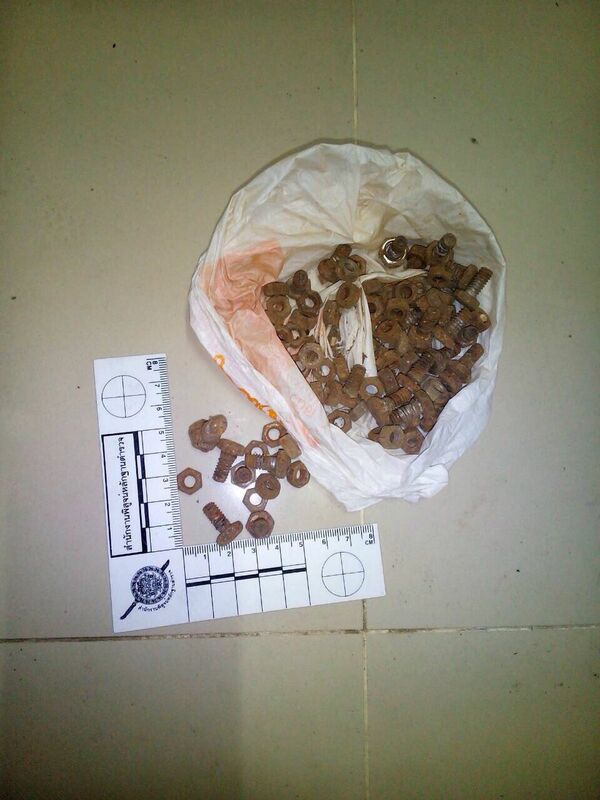 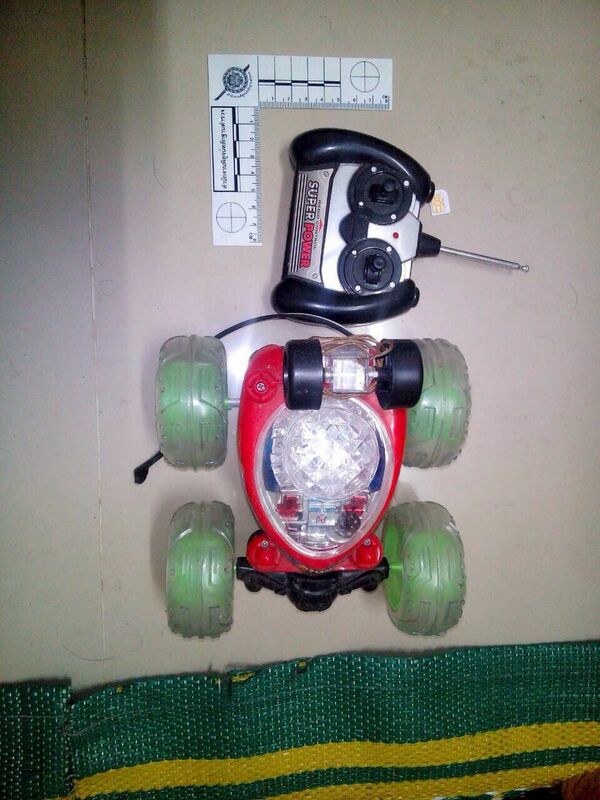 Found at the scene were some 0.6-mm ball bearings. 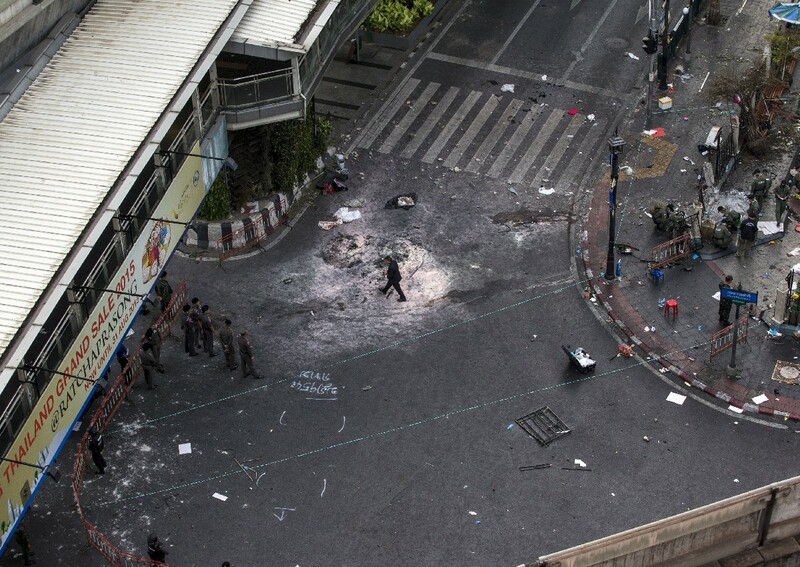 The same source said there was a high possibility that the bomb in the Monday's attack was TNT. 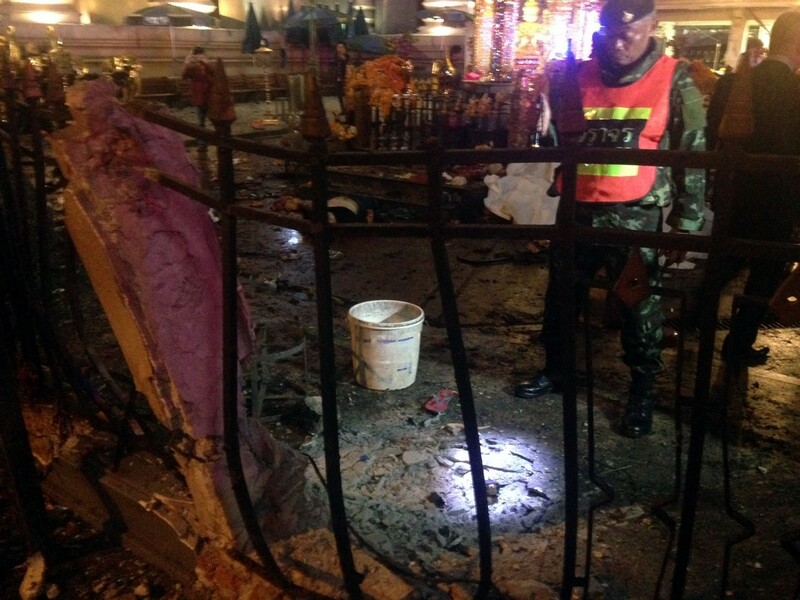 "It's inflammable, highly destructive and yellow," it added. 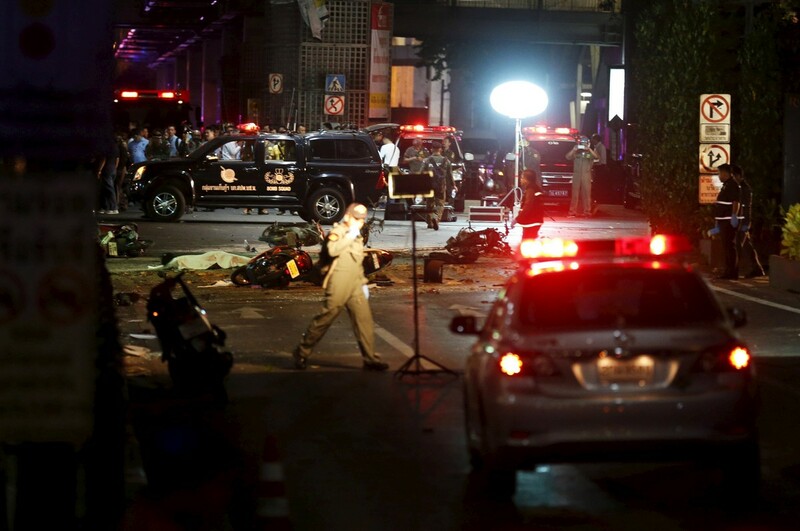 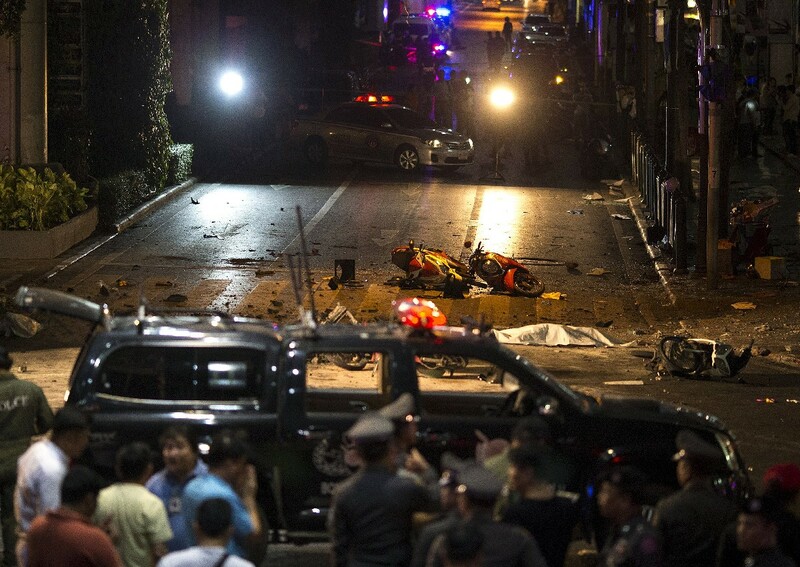 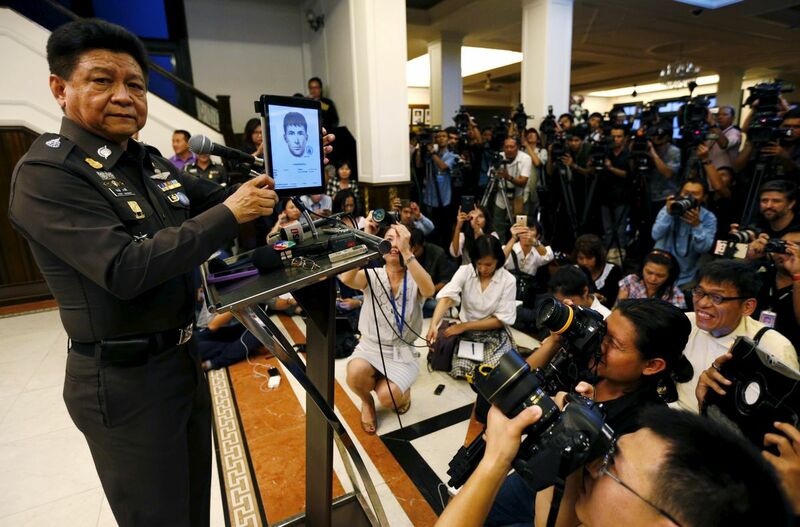 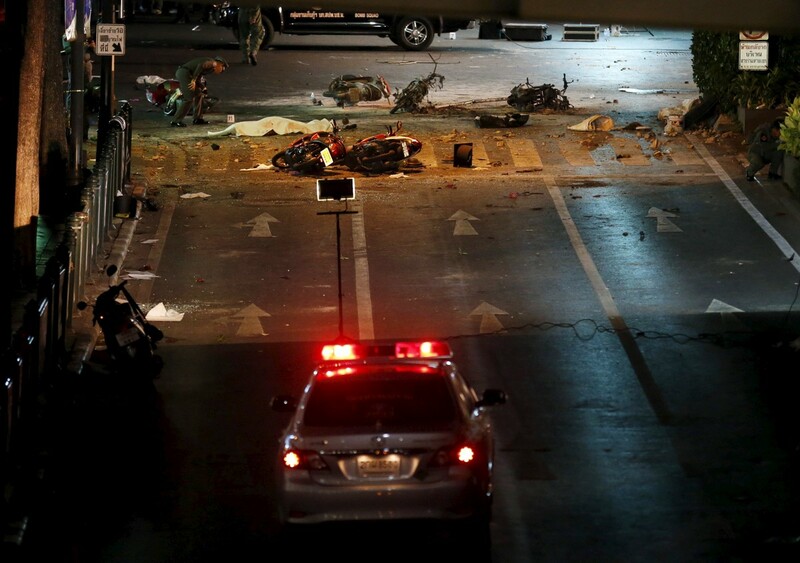 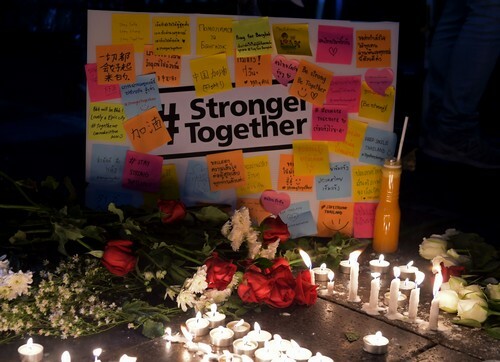 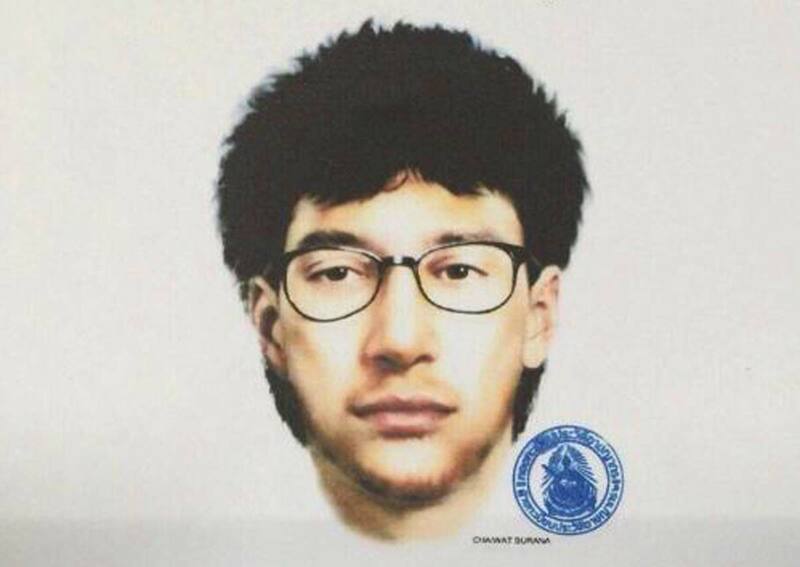 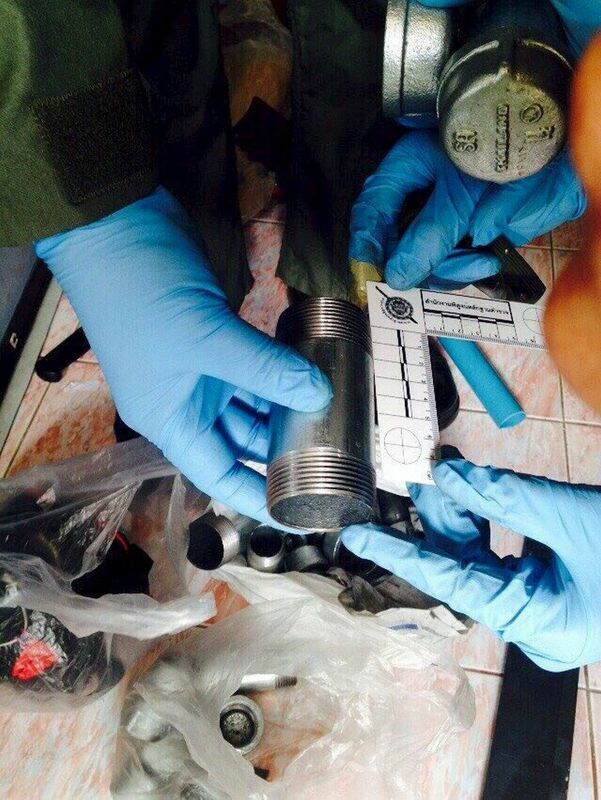 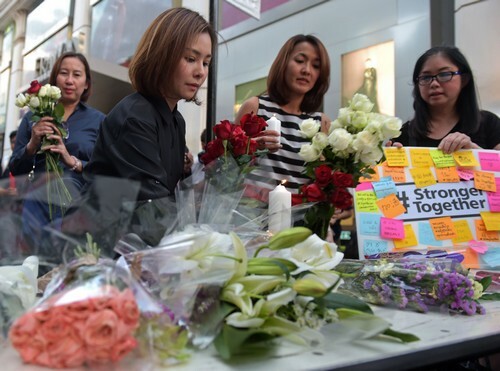 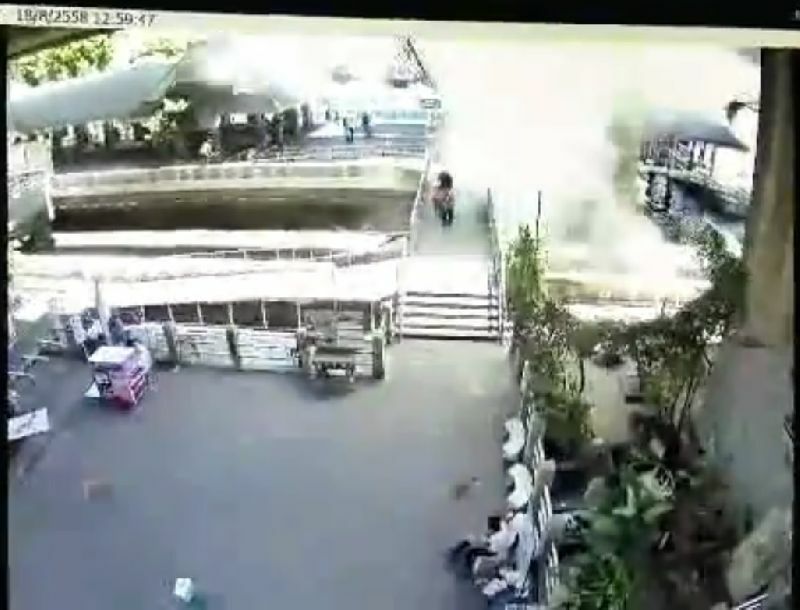 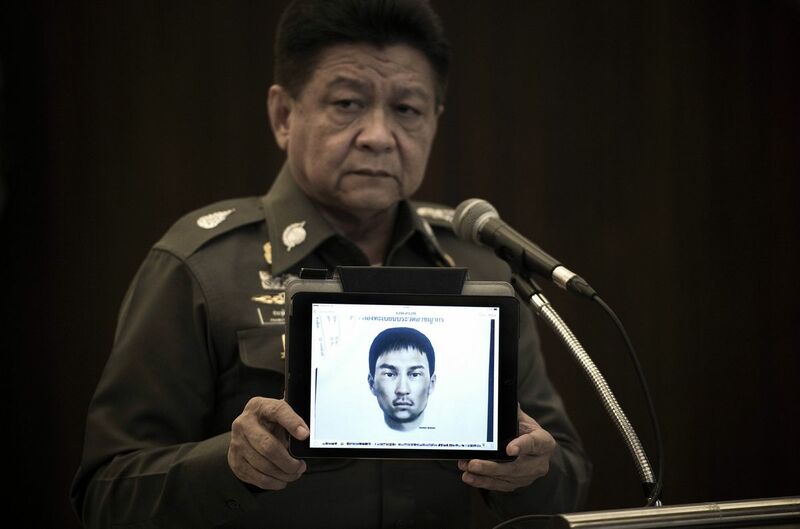 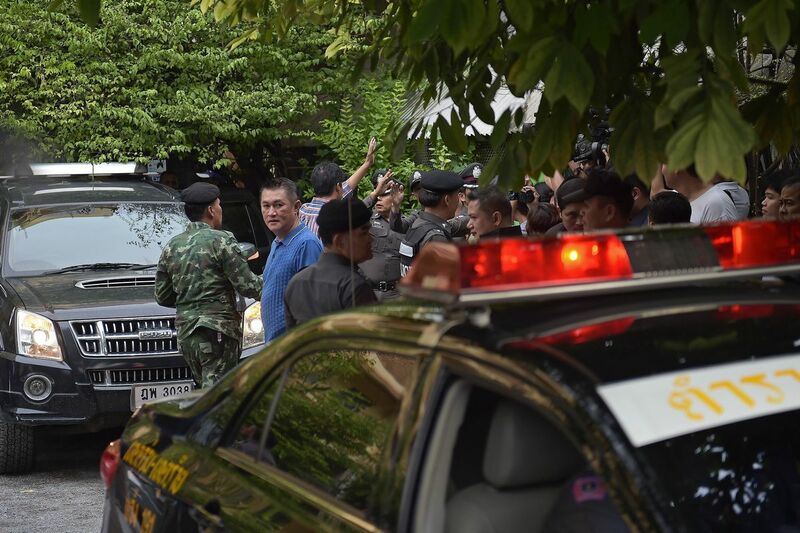 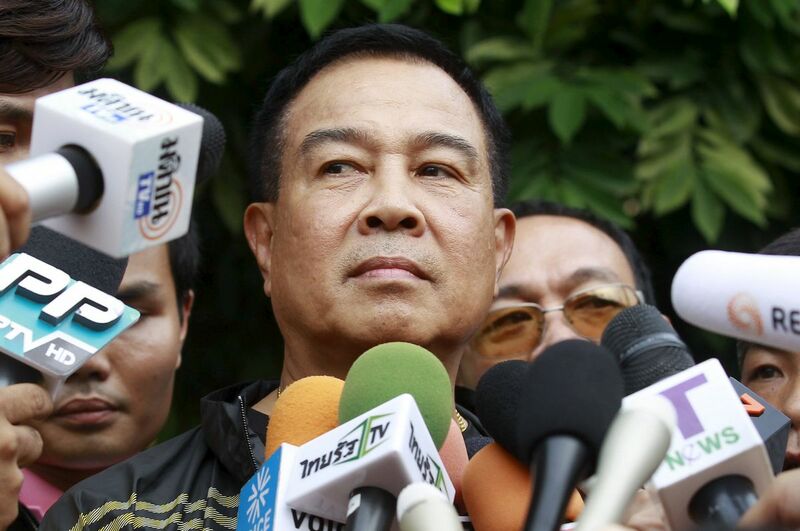 National Police Commissioner Pol General Somyot Poompanmuang said the bomb had complete combustion, and left hardly any trace at the crime scene. 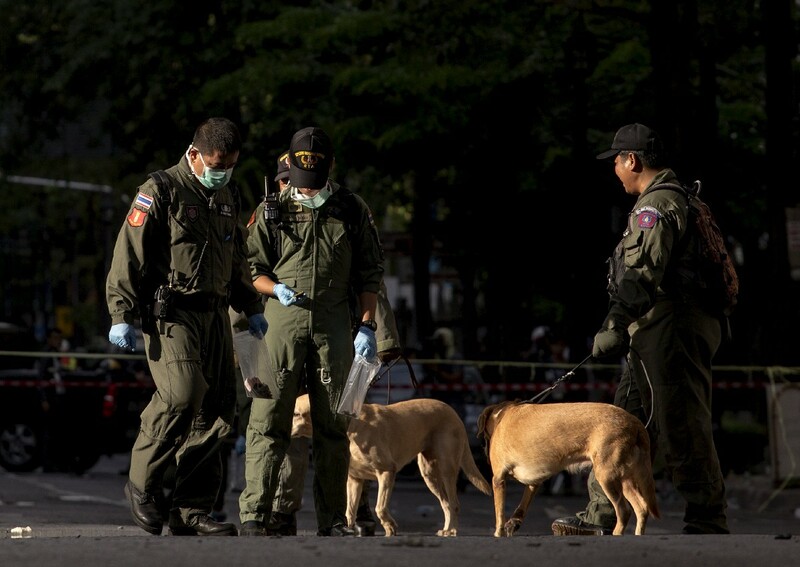 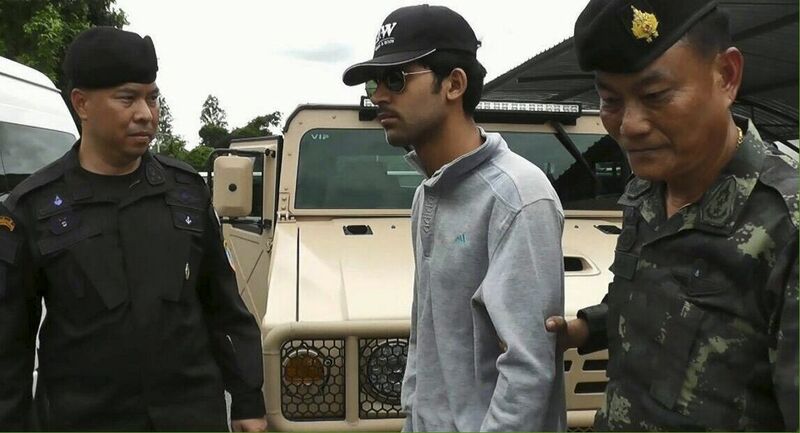 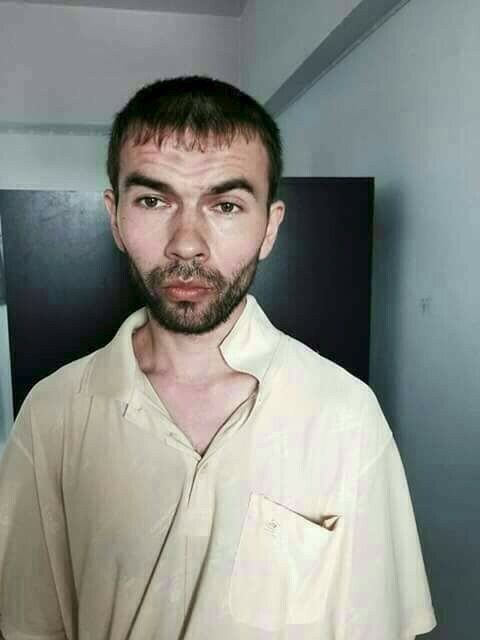 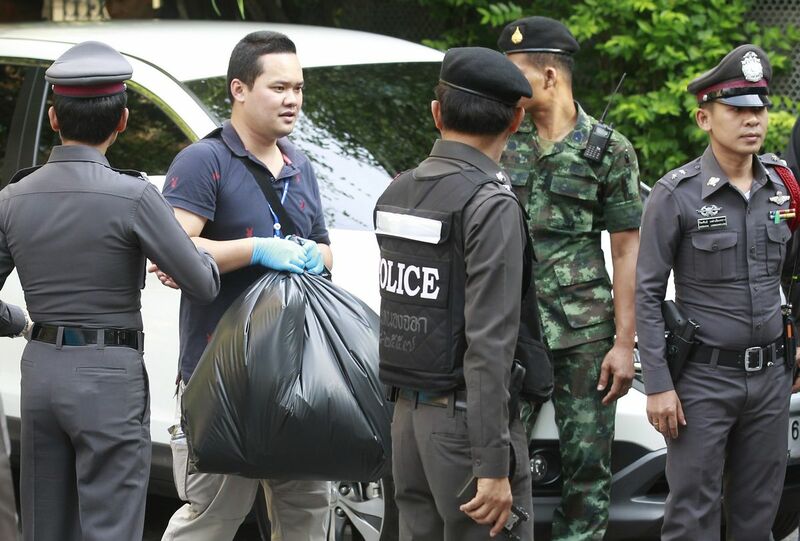 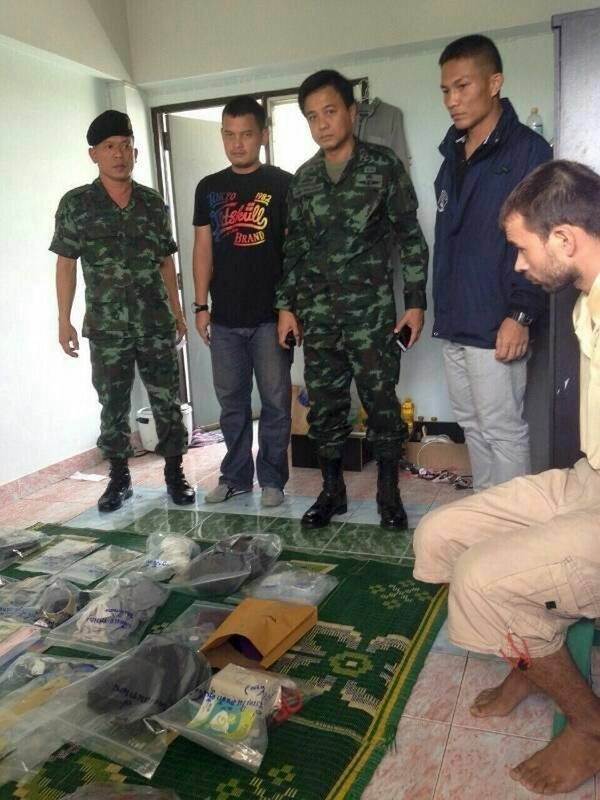 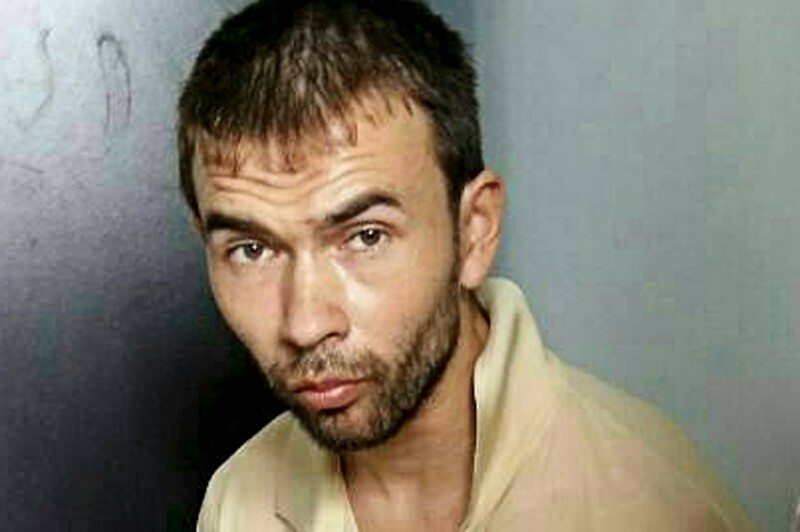 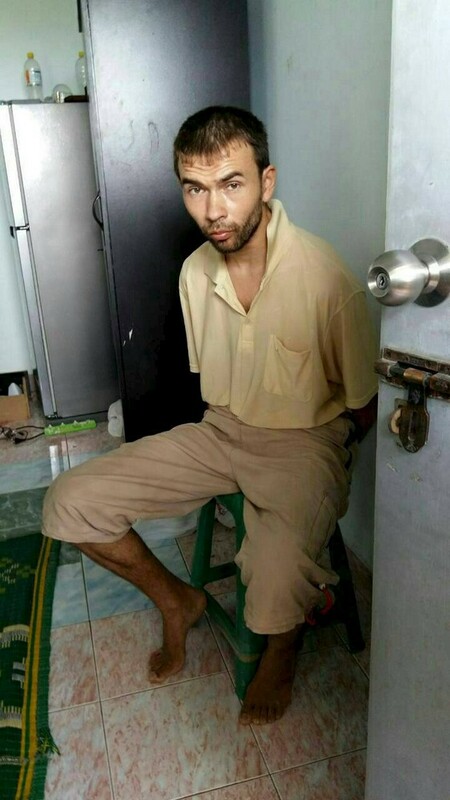 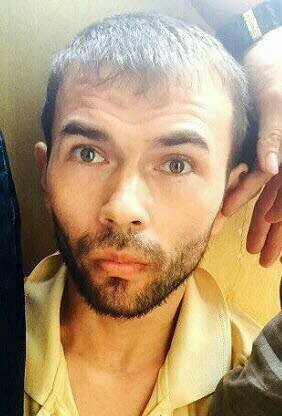 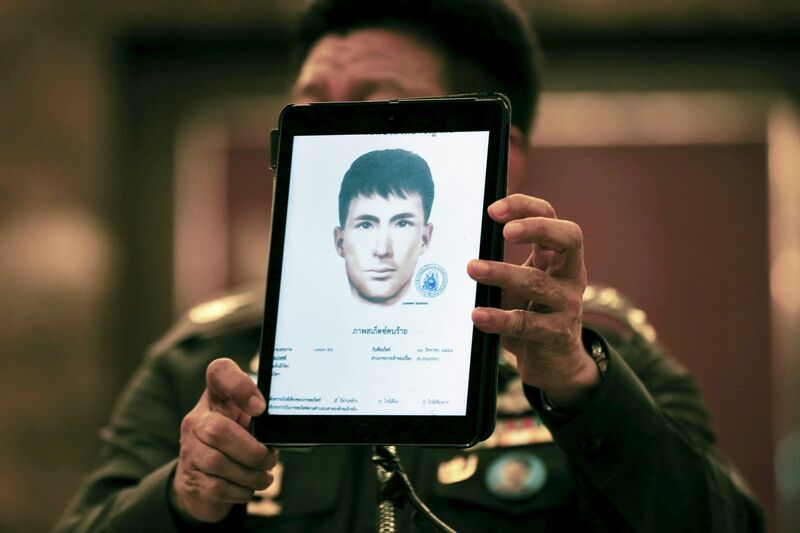 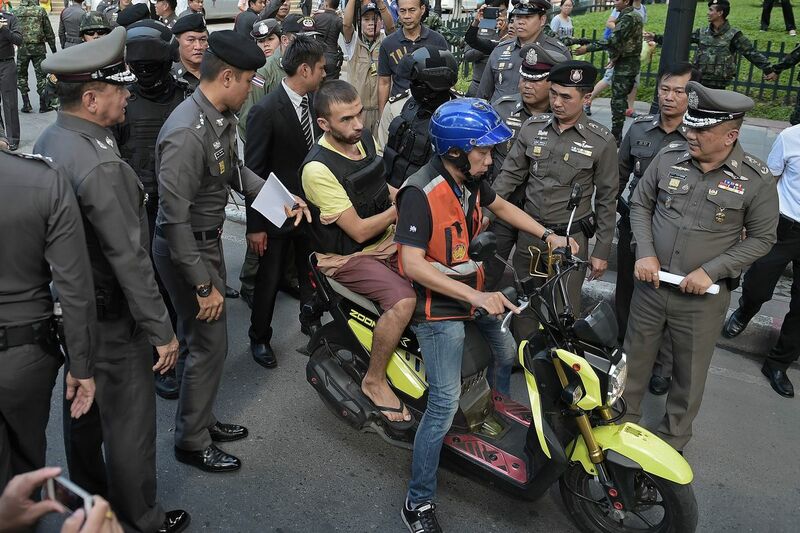 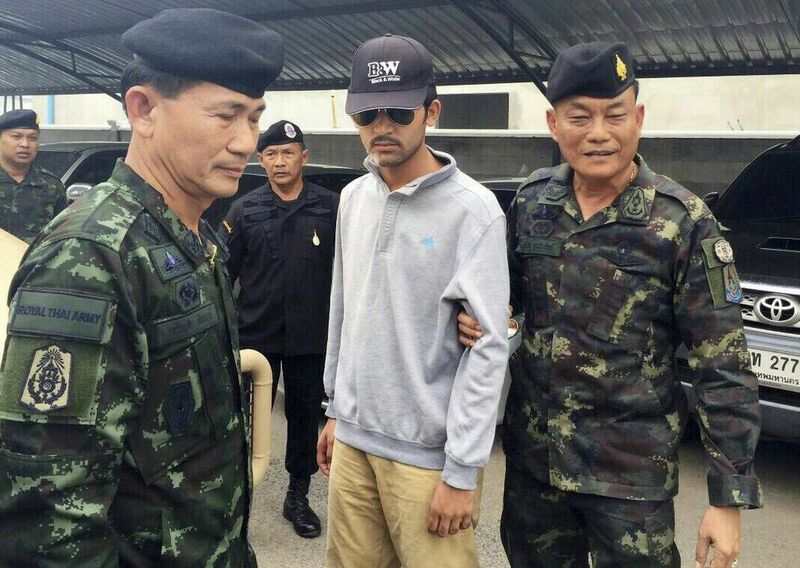 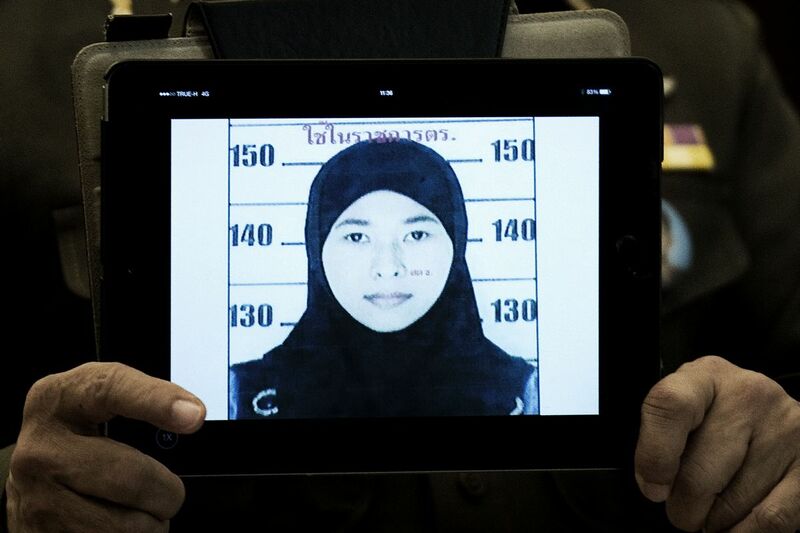 "That's why it took time for the explosives ordnance disposal team to collect evidence," Somyot said. 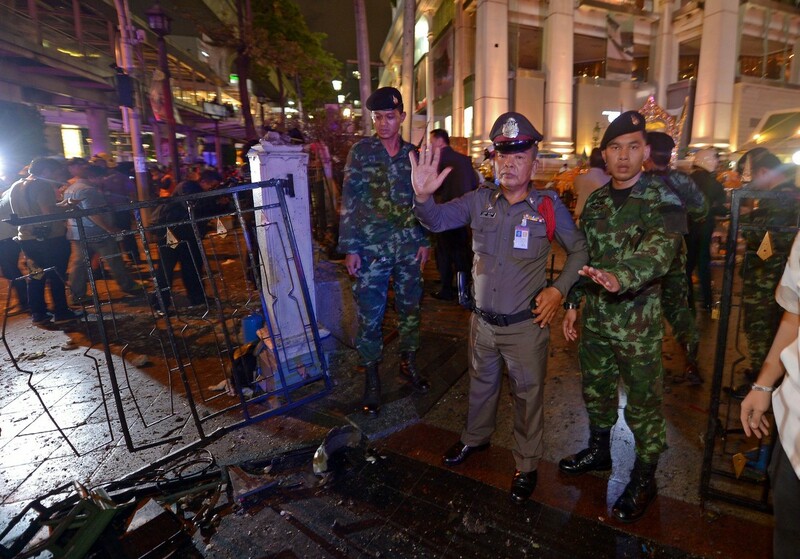 Pol General Jarumporn Suramanee, an adviser to the national police chief, yesterday inspected the blast scene himself. 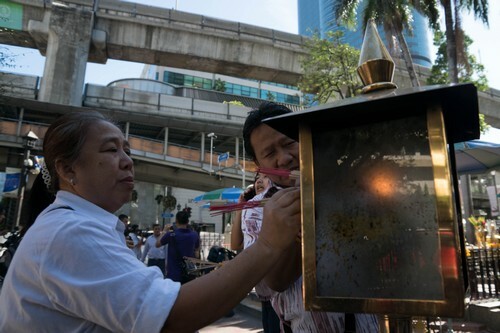 Also at the shrine yesterday was Supanee Wattanawijarn, treasurer of the Than Tao Mahaprom Foundation Erawan Hotel. 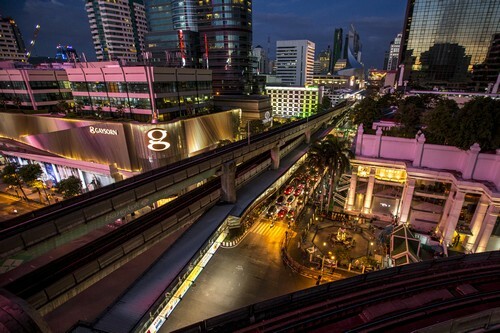 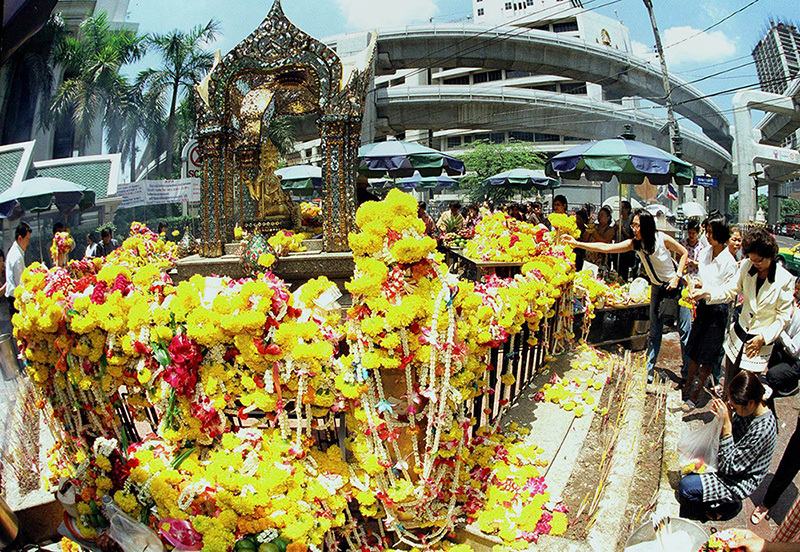 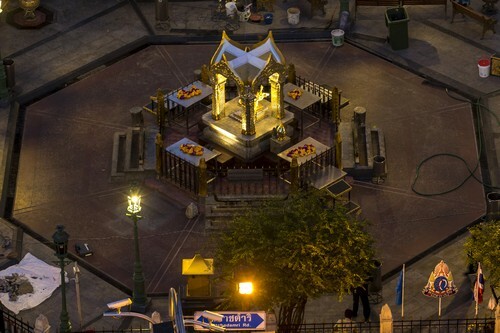 Her foundation takes care of the Erawan Shrine, where Than Tao Mahaprom (the sacred Brahma statue) is enshrined. 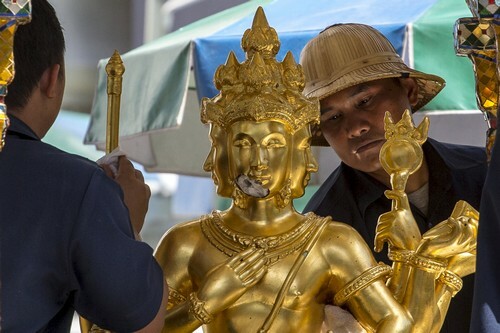 Deputy National Police Commissioner Pol General Ruangsak Jritake accompanied Supanee as they examined the sacred statue together. 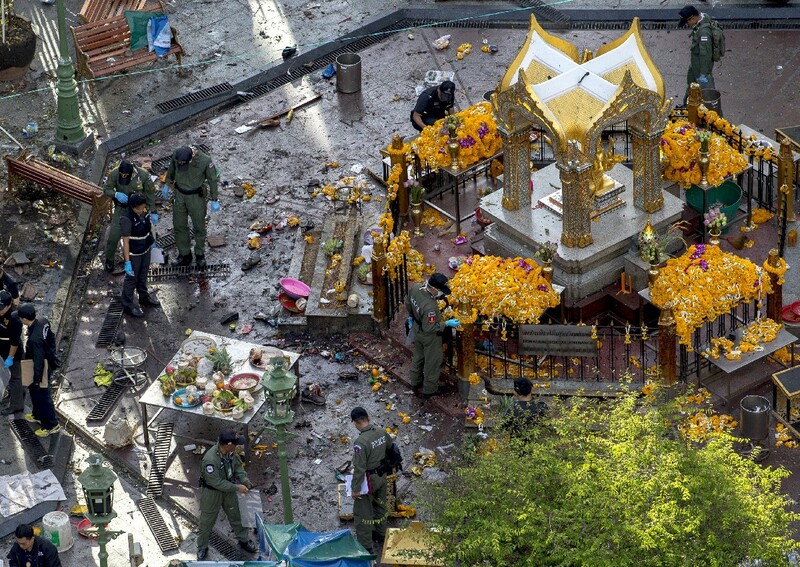 "The blast has caused some damage to the statue's chin and right arm," he said. 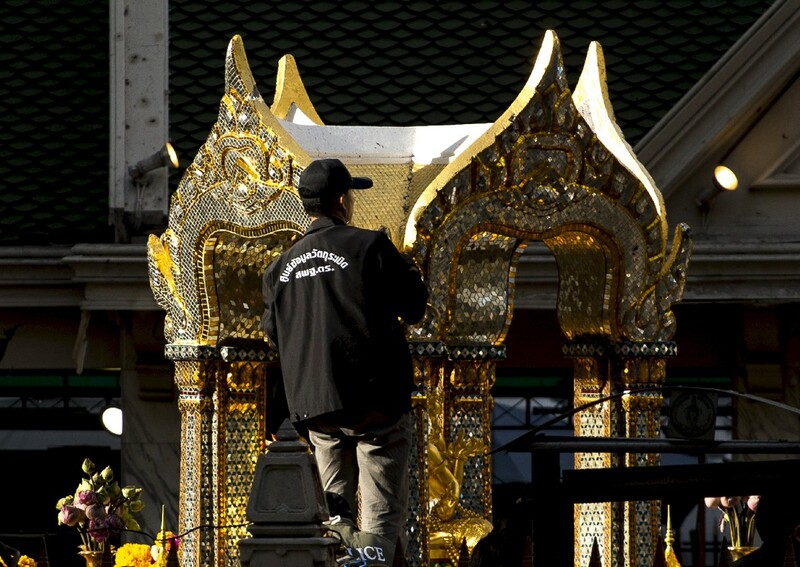 Supanee said the repairs would be done by the Office of Traditional Arts, using plaster and gold ornaments. 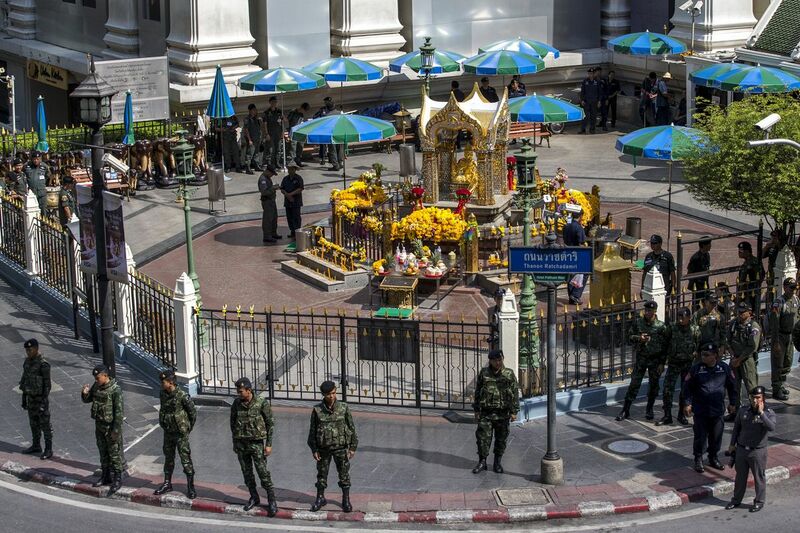 "During the repair, people are still welcome to the shrine," she said, adding that security measures around the shrine would be increased.